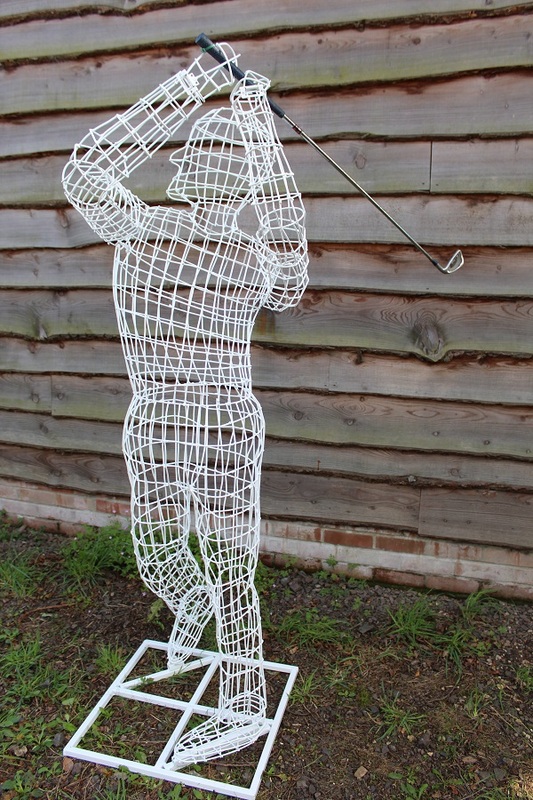 The word ‘topiary’ is derived from the Latin word topiarius; meaning ‘landscape gardener’. 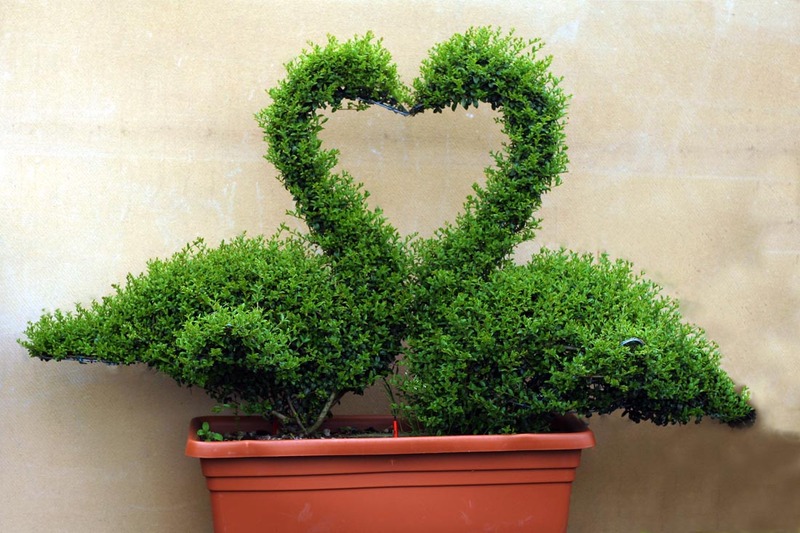 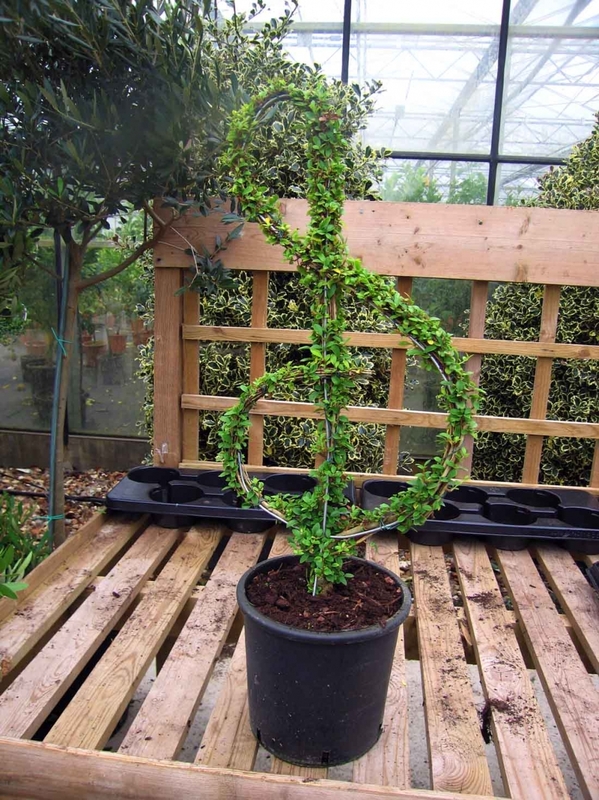 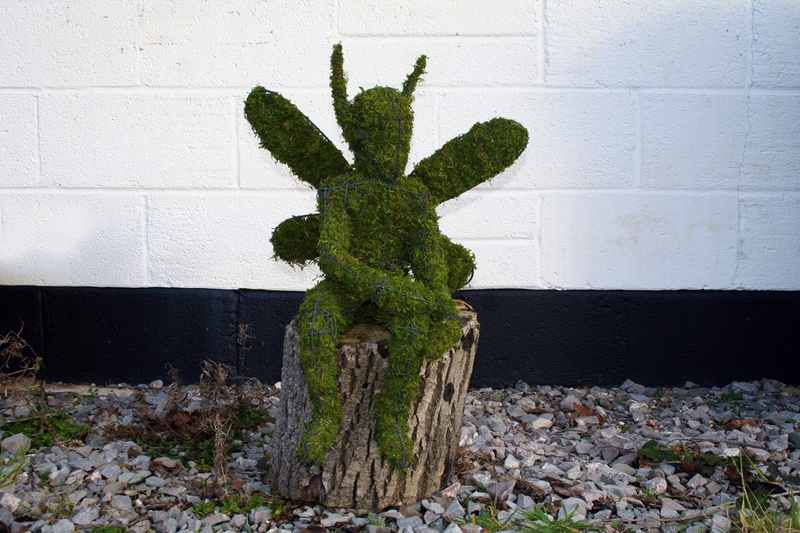 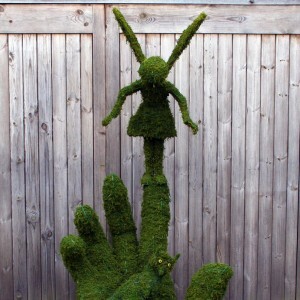 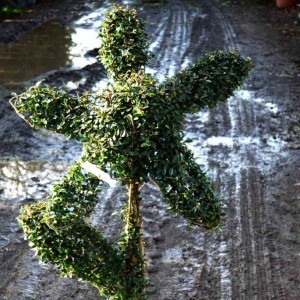 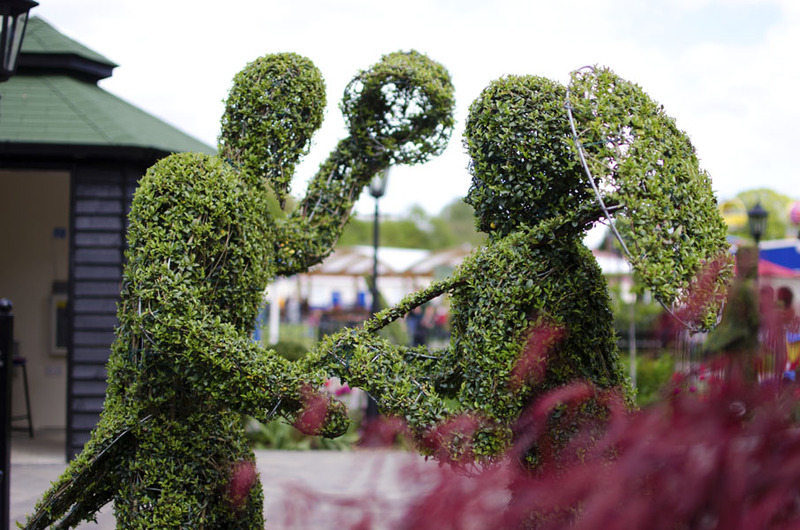 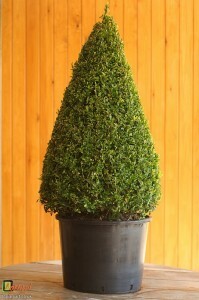 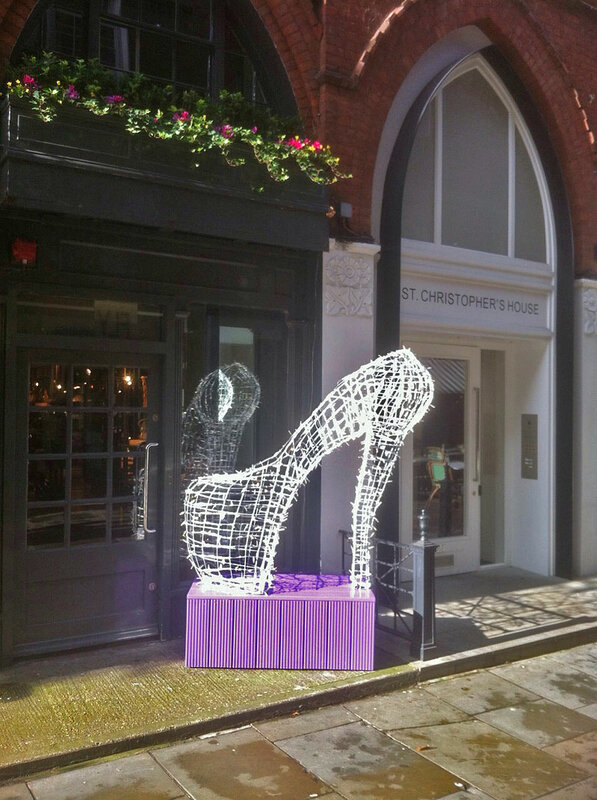 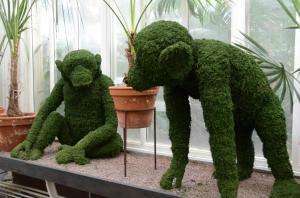 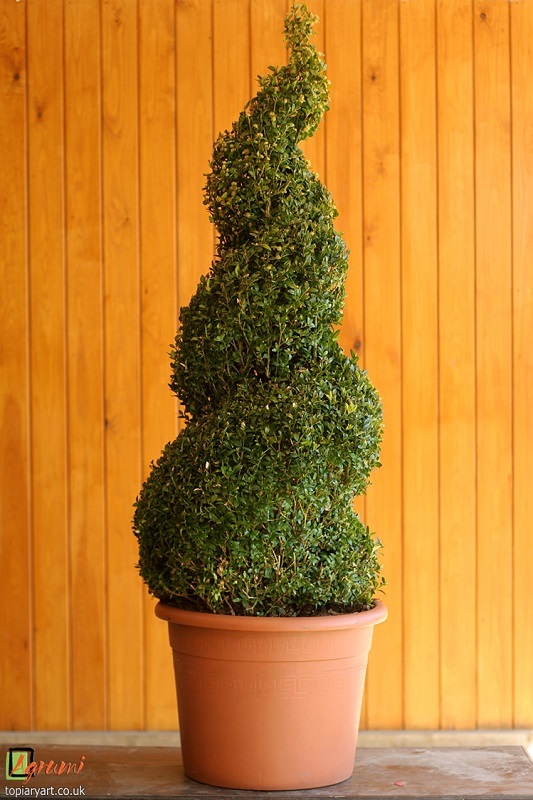 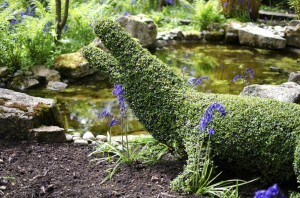 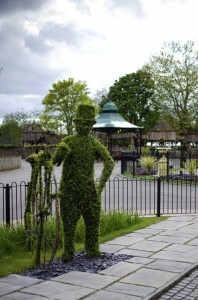 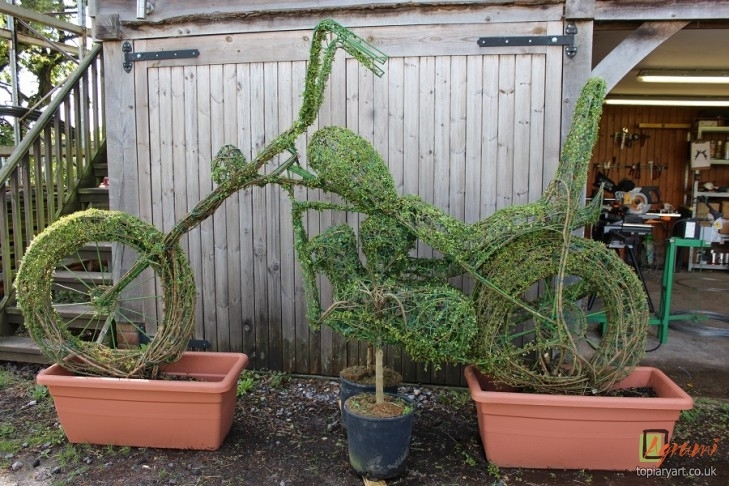 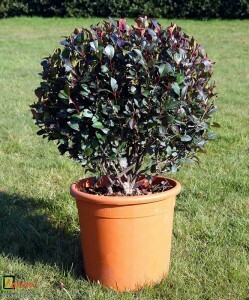 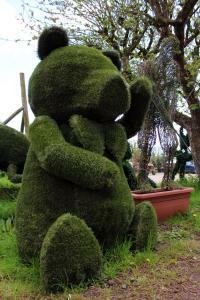 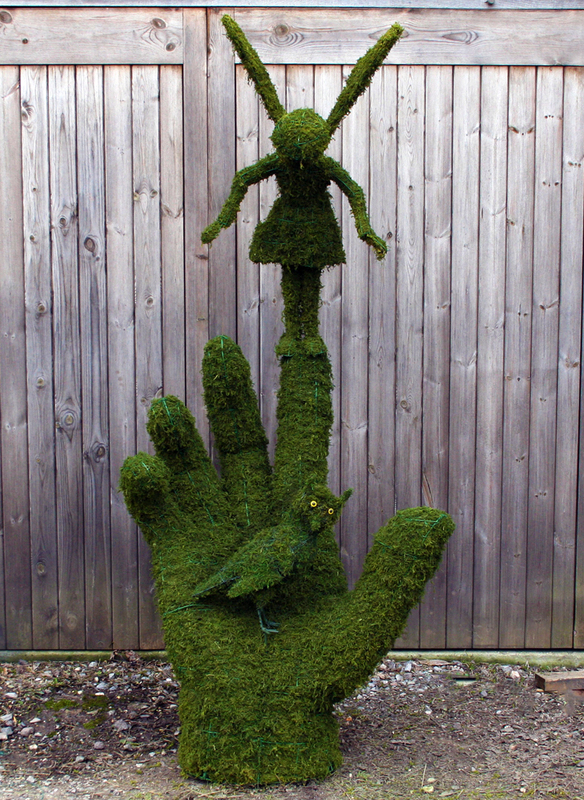 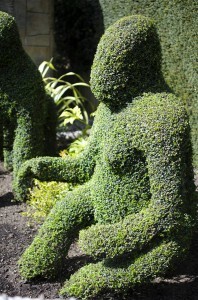 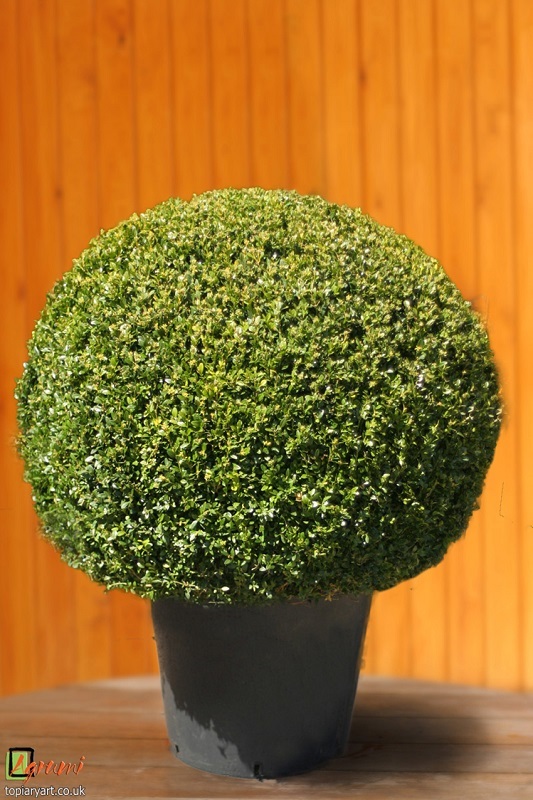 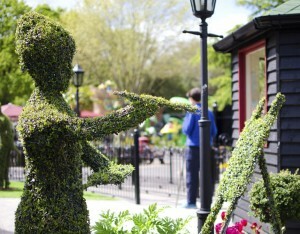 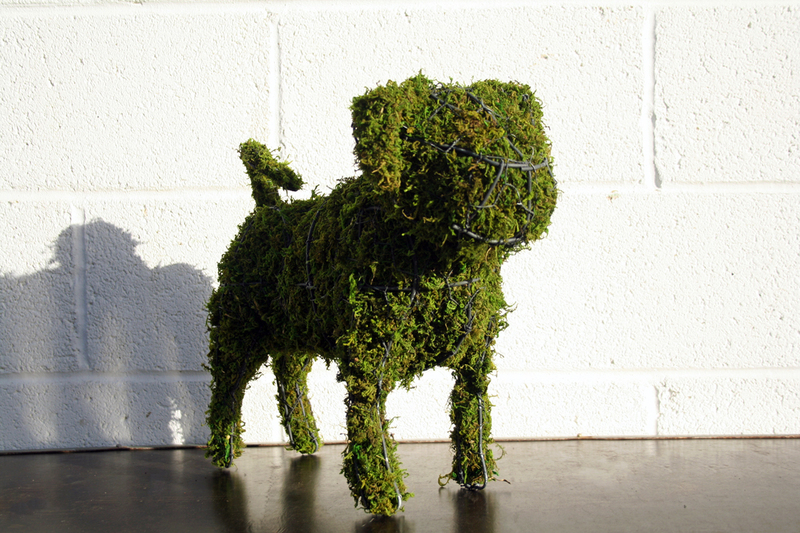 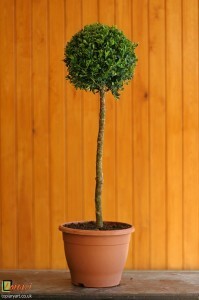 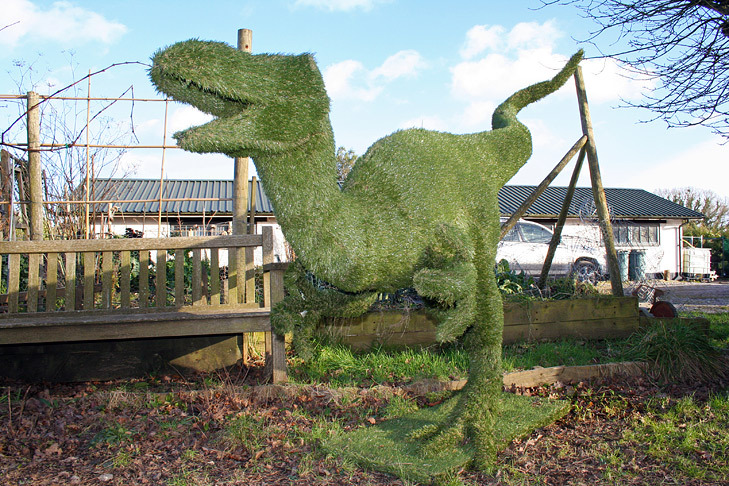 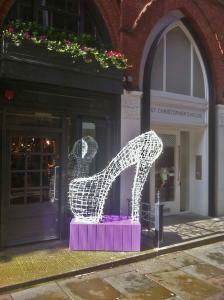 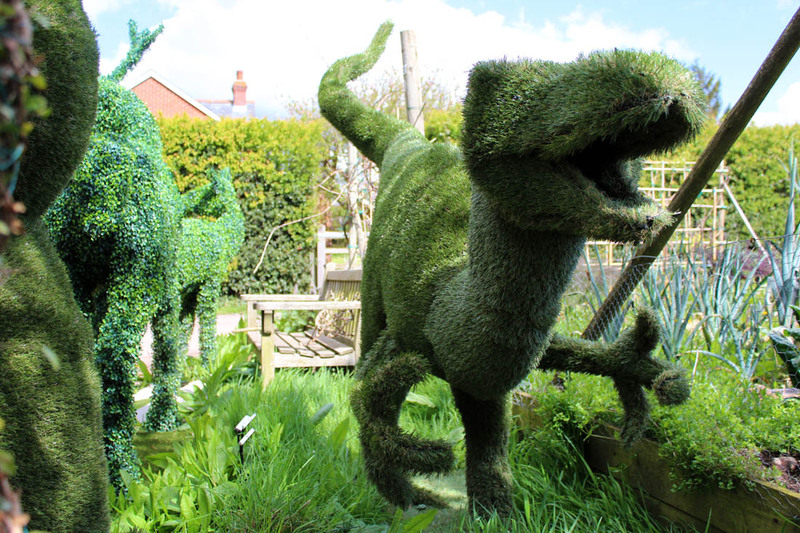 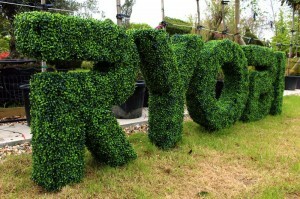 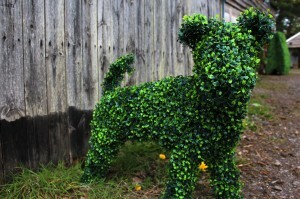 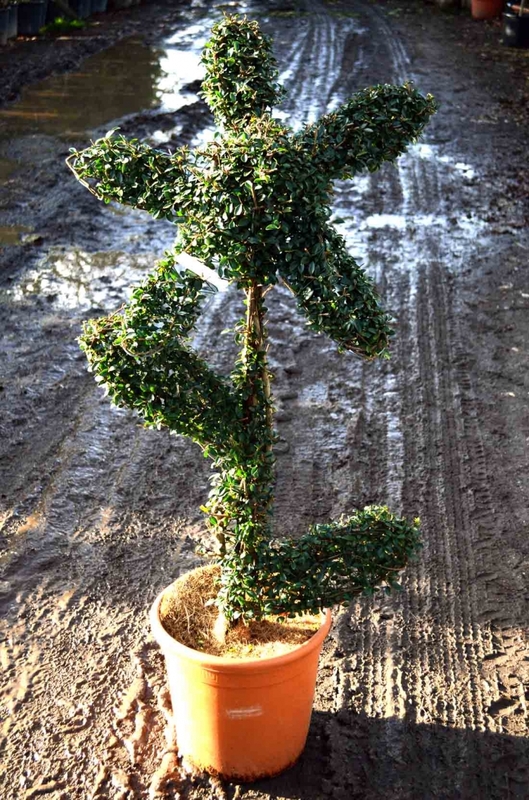 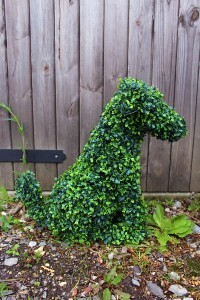 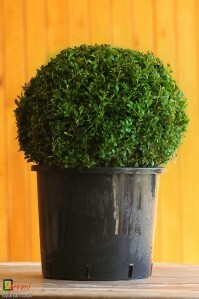 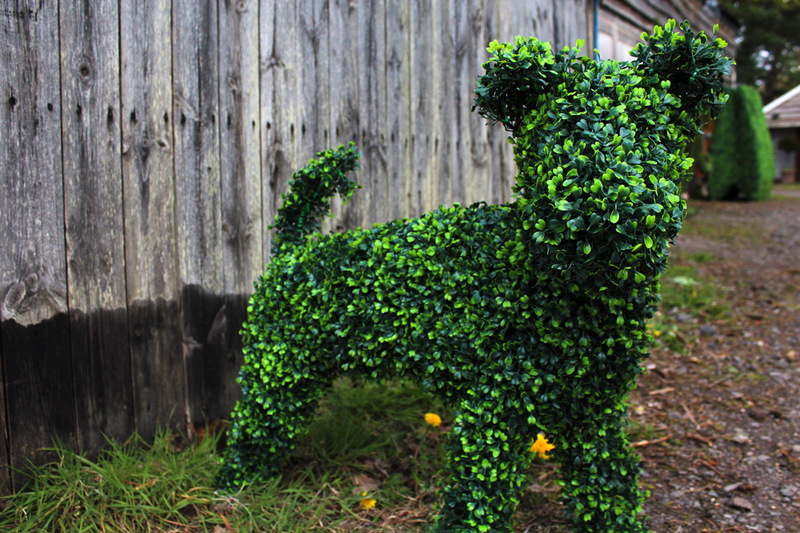 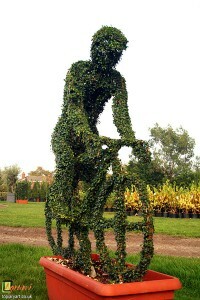 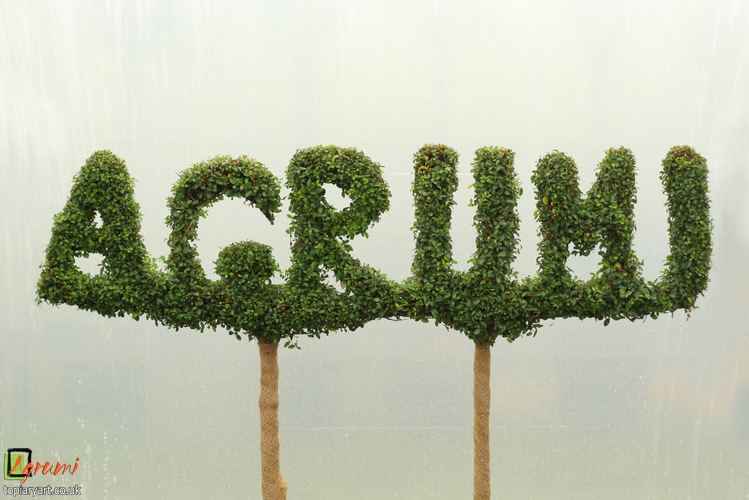 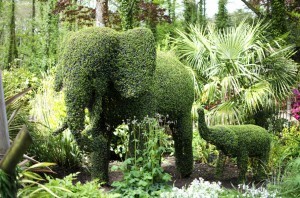 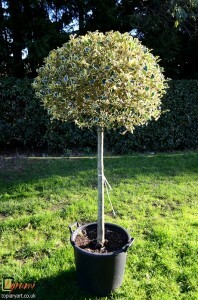 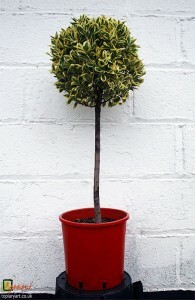 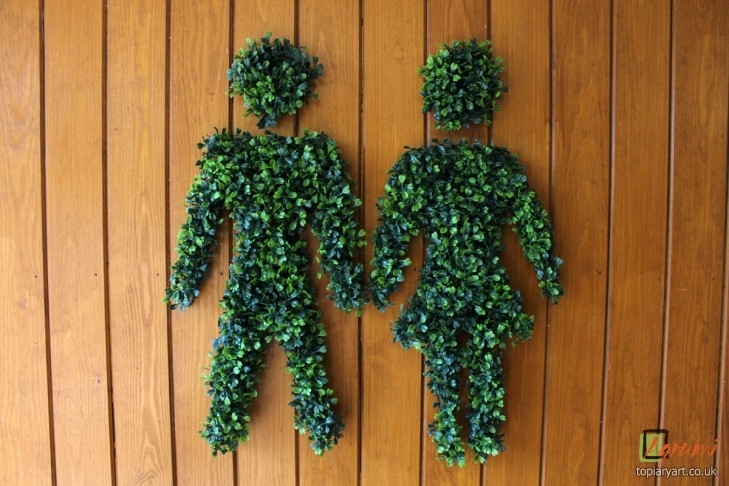 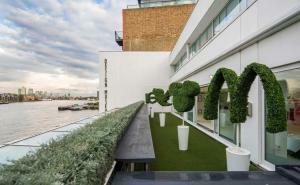 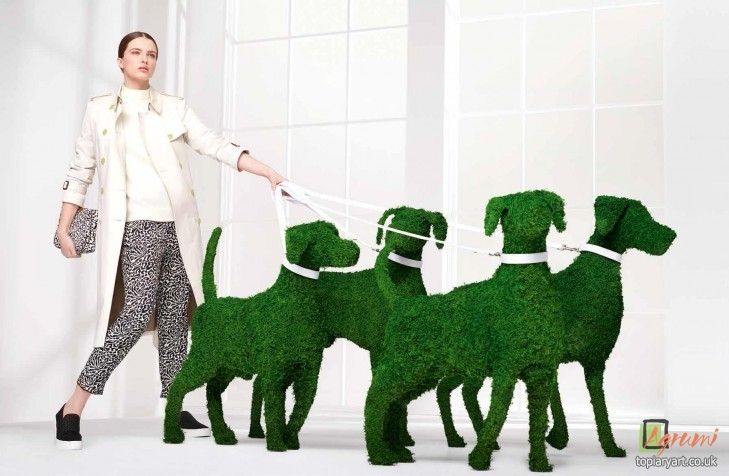 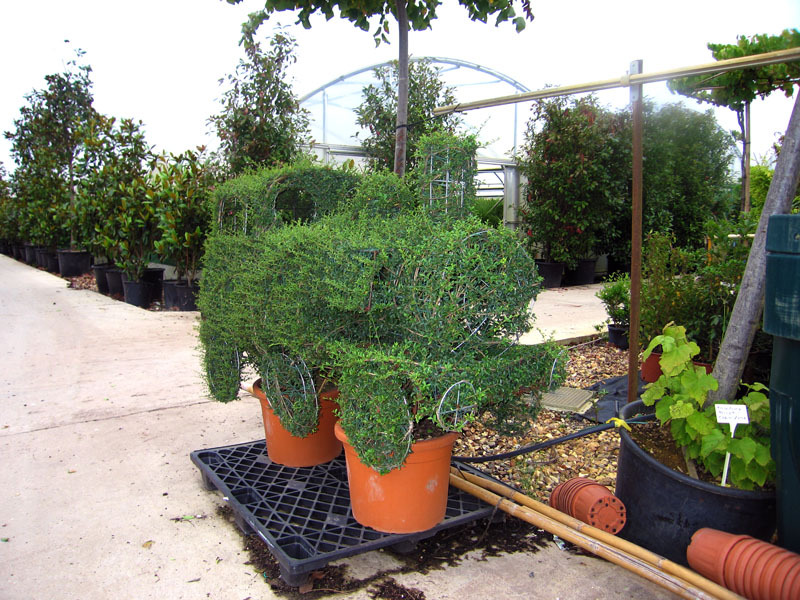 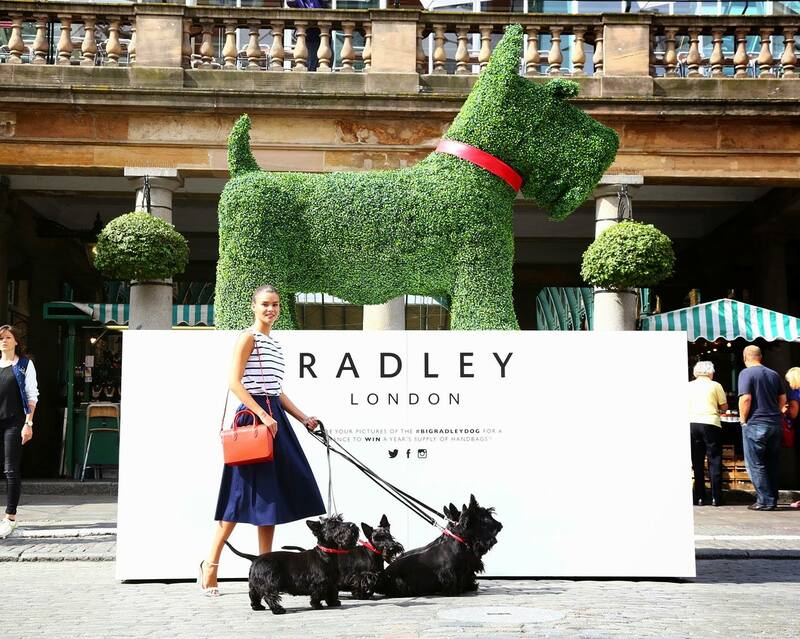 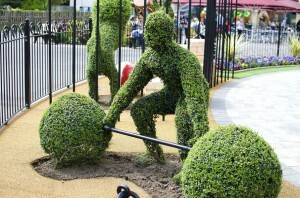 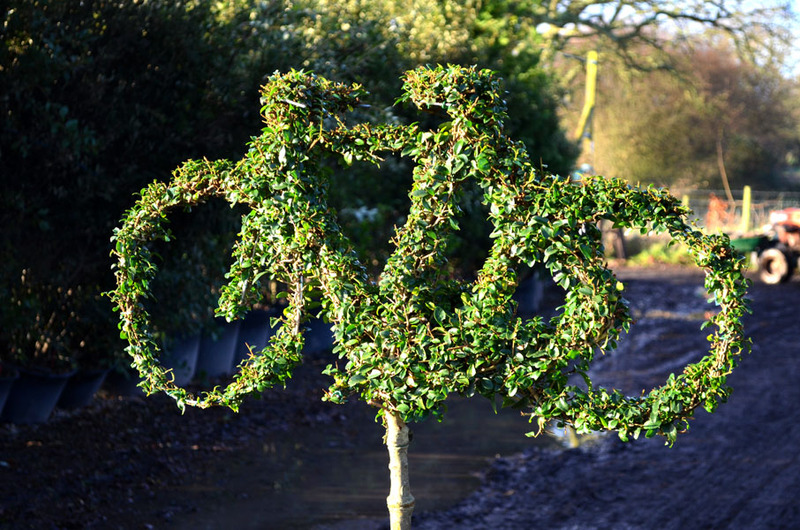 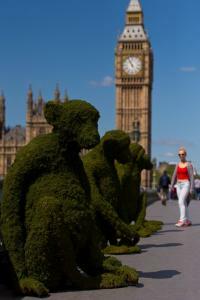 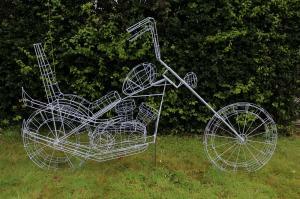 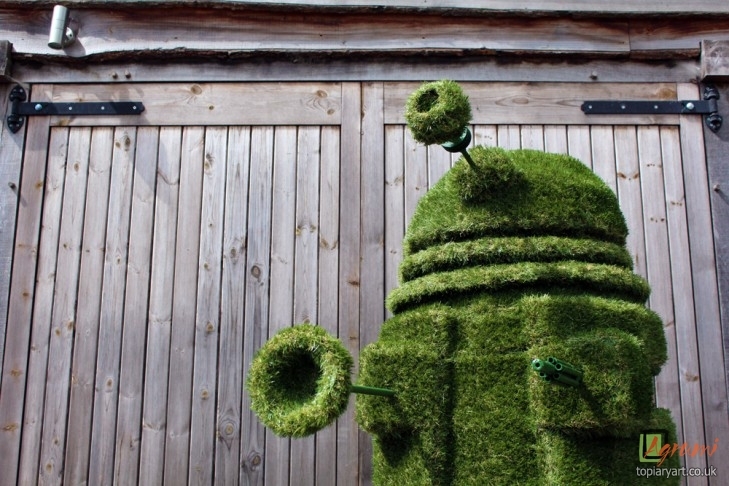 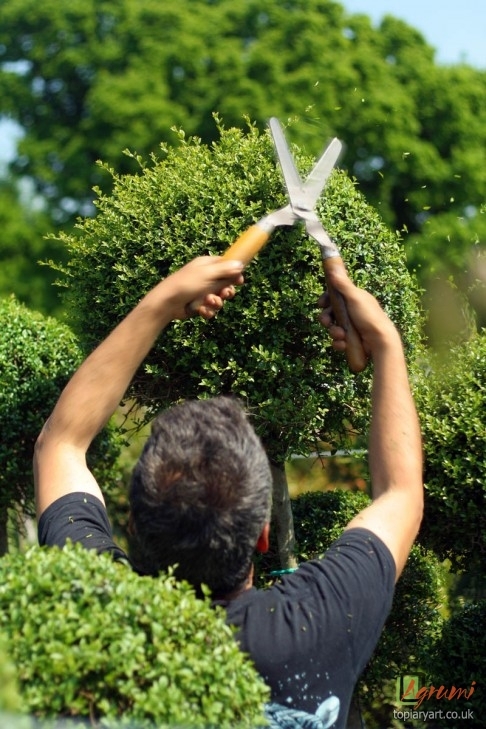 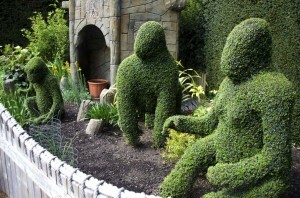 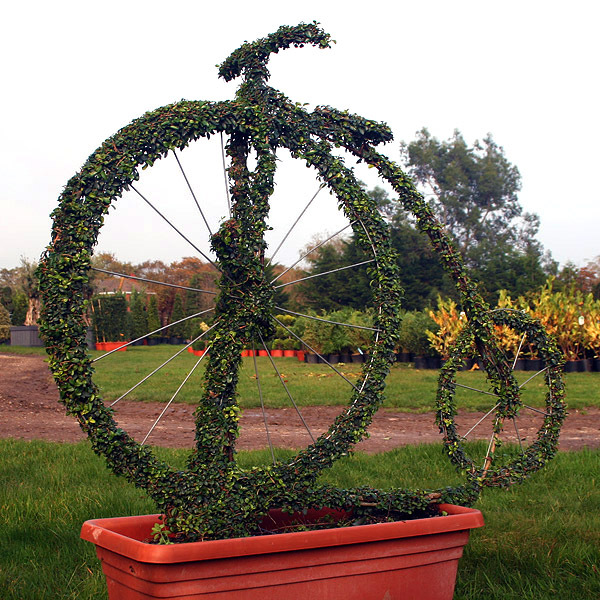 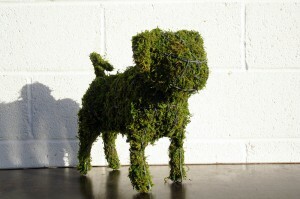 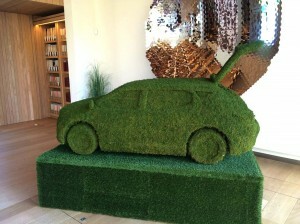 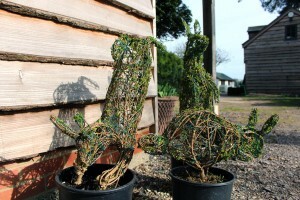 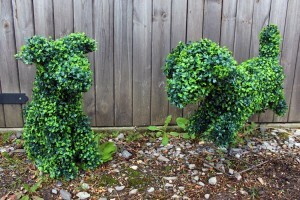 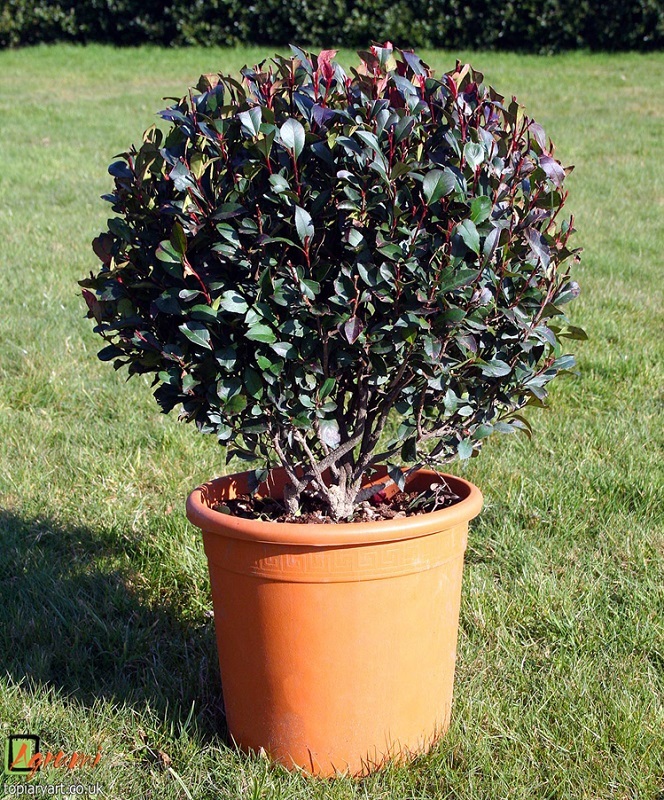 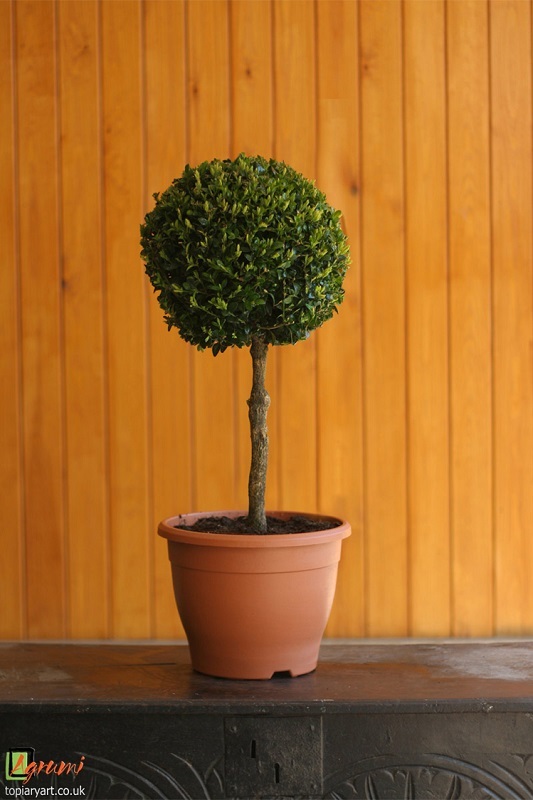 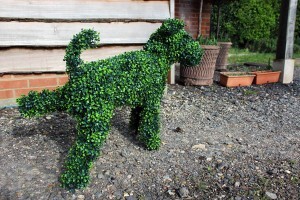 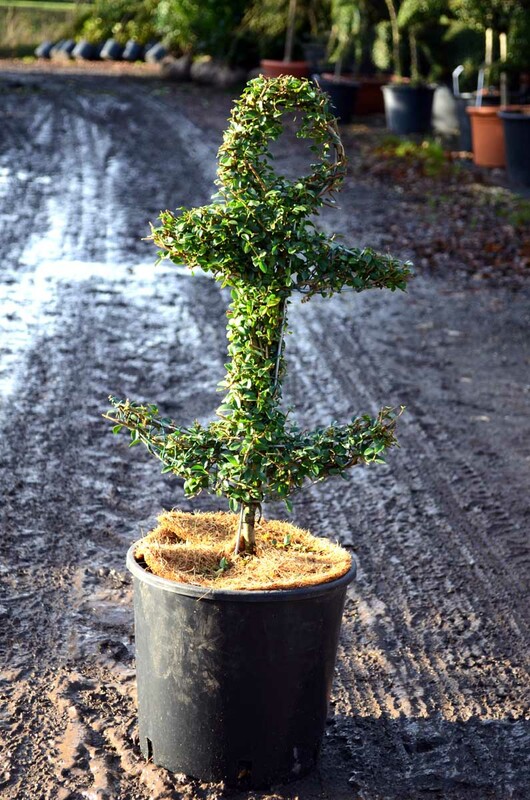 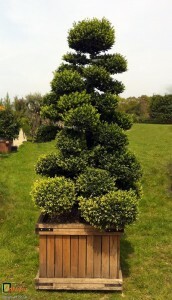 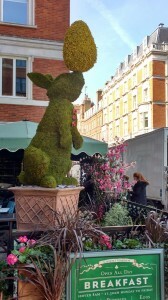 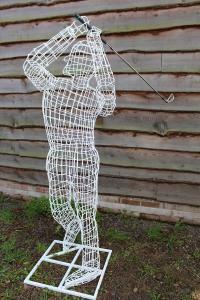 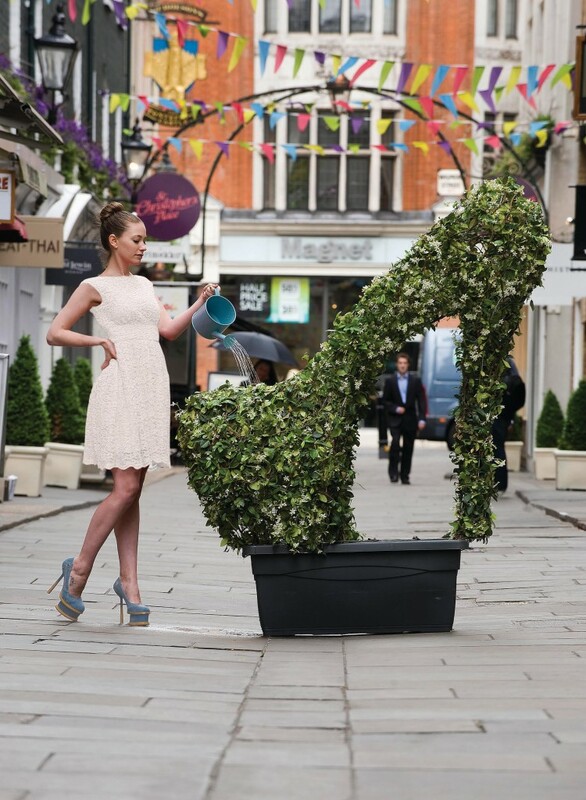 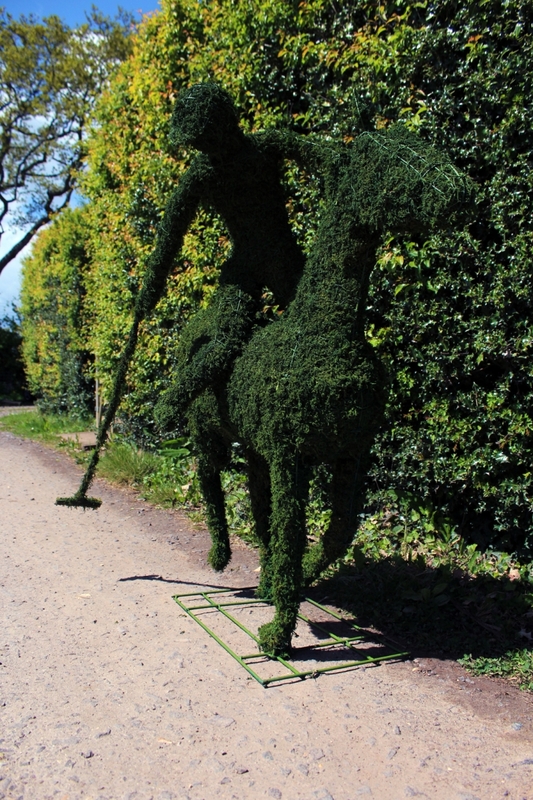 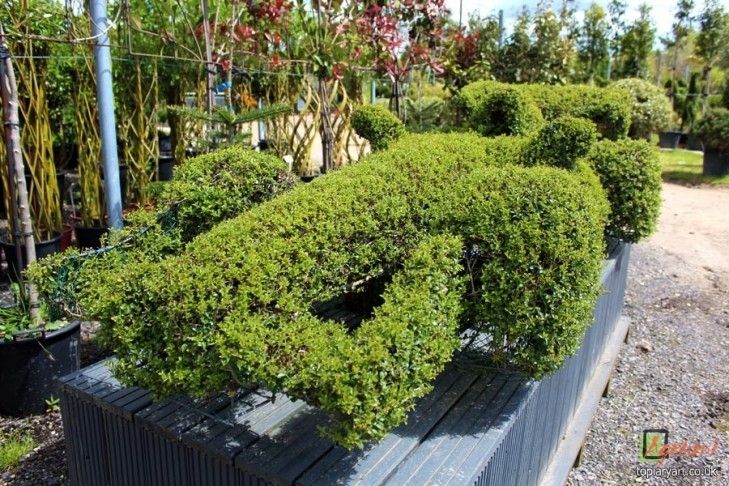 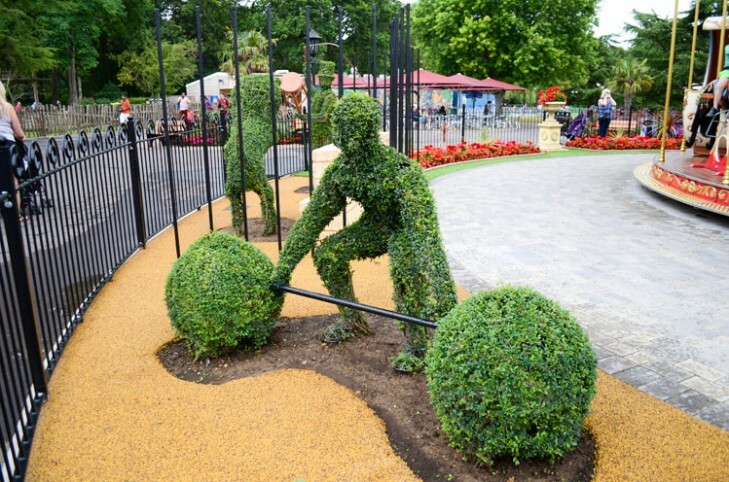 Topiary is the horticultural art of clipping and training shrubs or trees into ornamental shapes and sculptures. 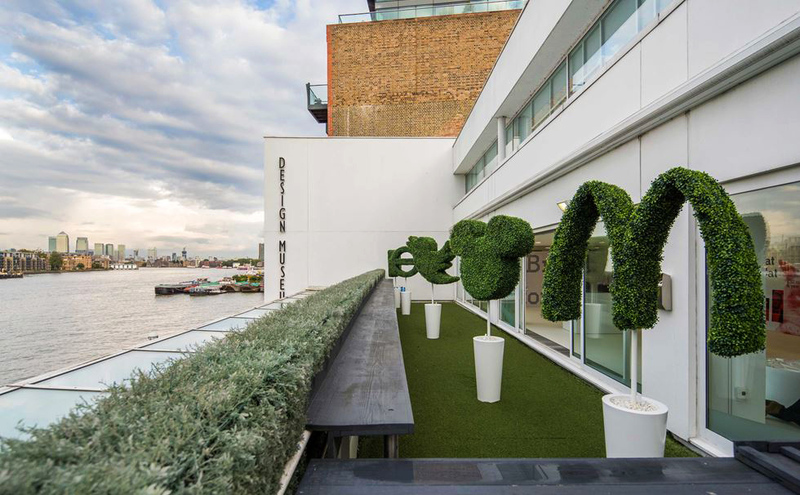 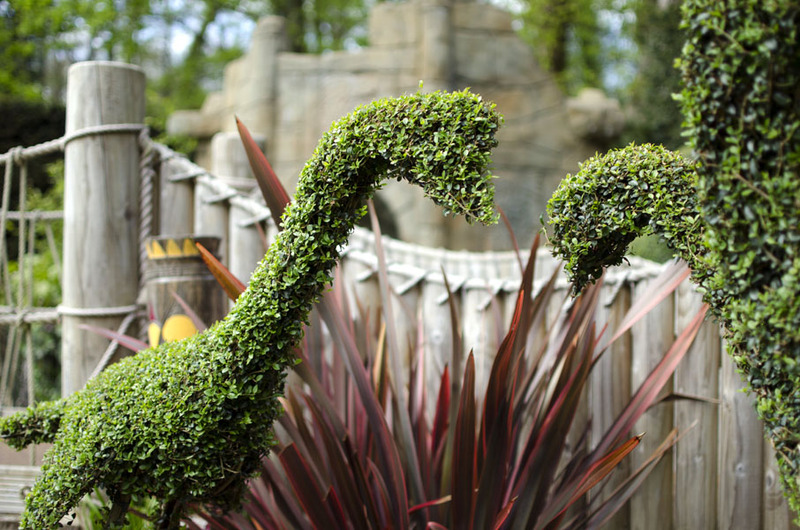 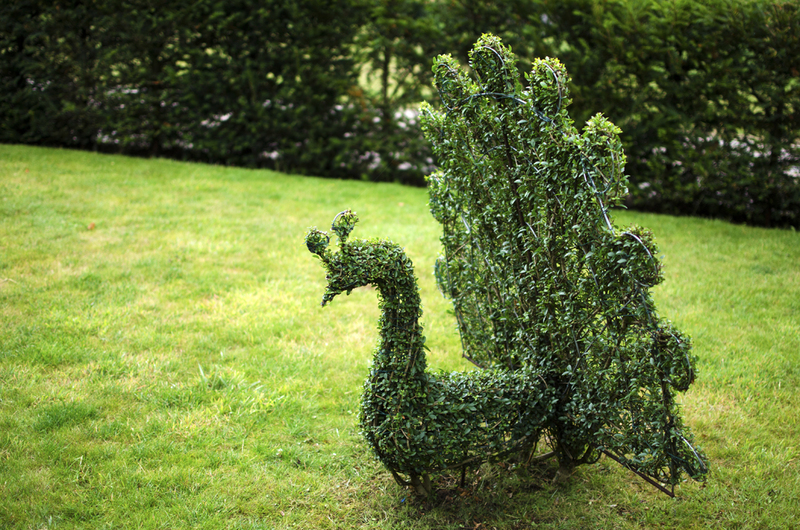 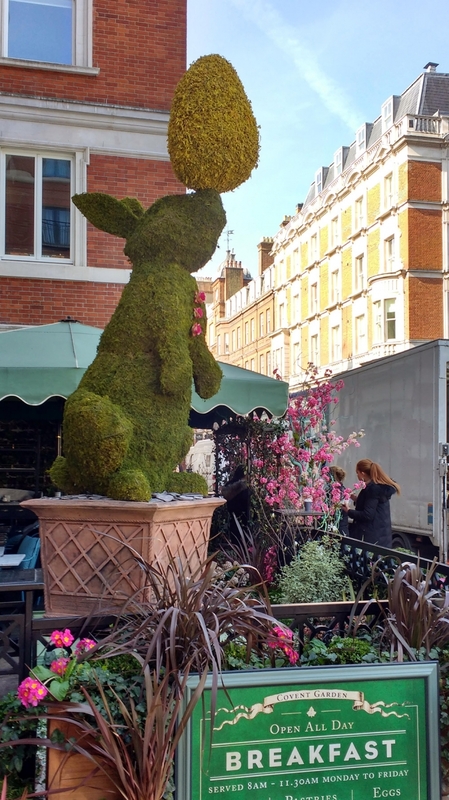 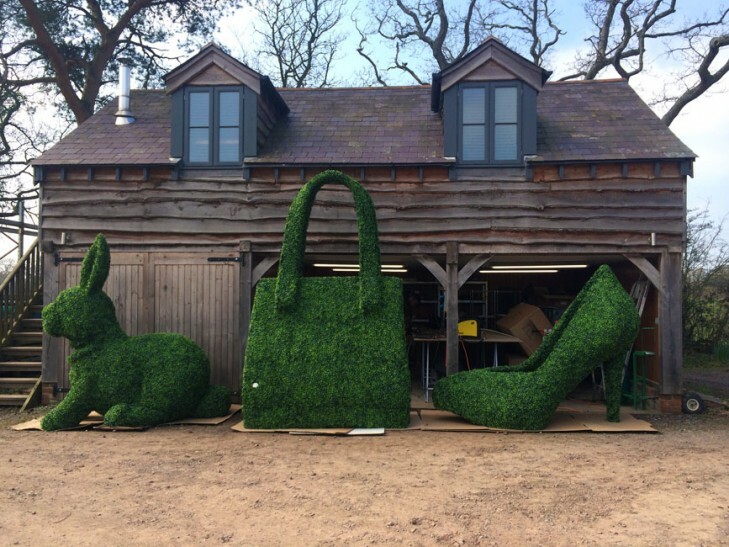 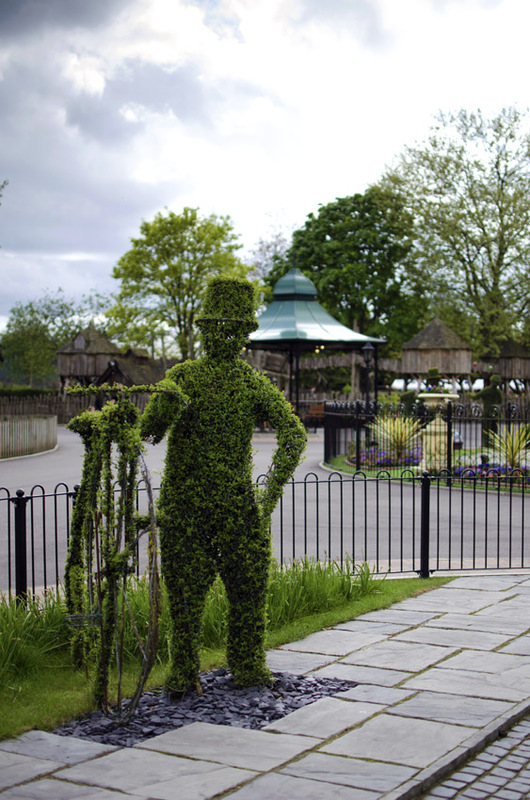 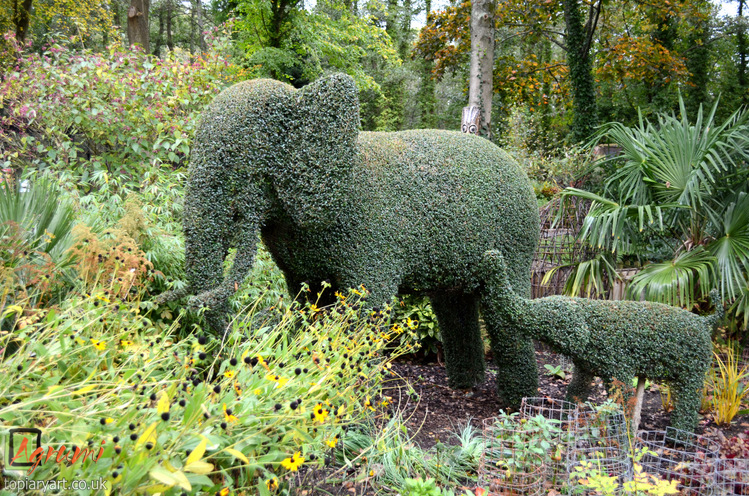 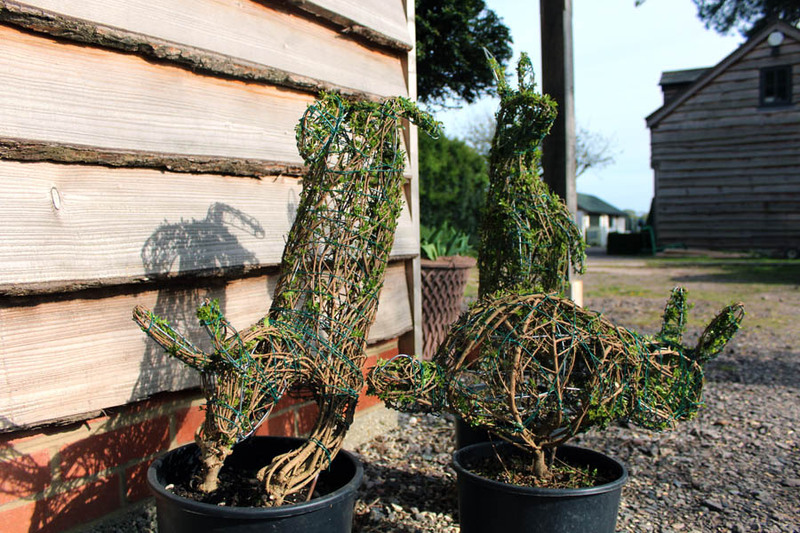 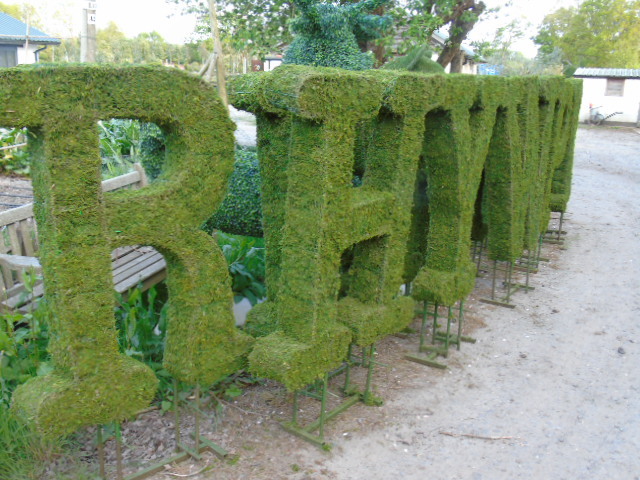 The resulting topiary shape can be as exotic and elaborate as desired; ranging from animal shapes and figures to a well trimmed hedge. There are many different styles of topiary, each favoured by different regions of the world and at different times of history. 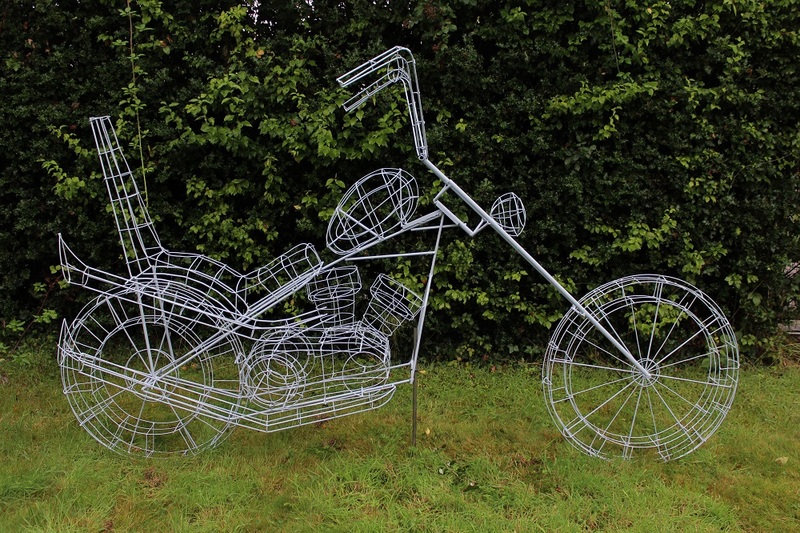 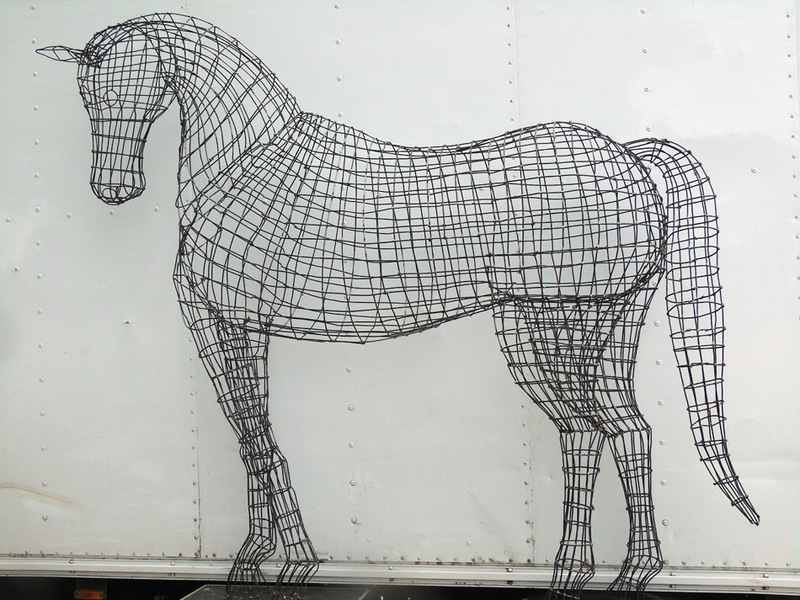 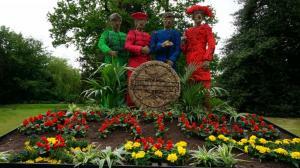 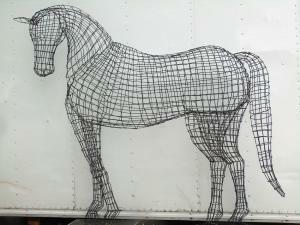 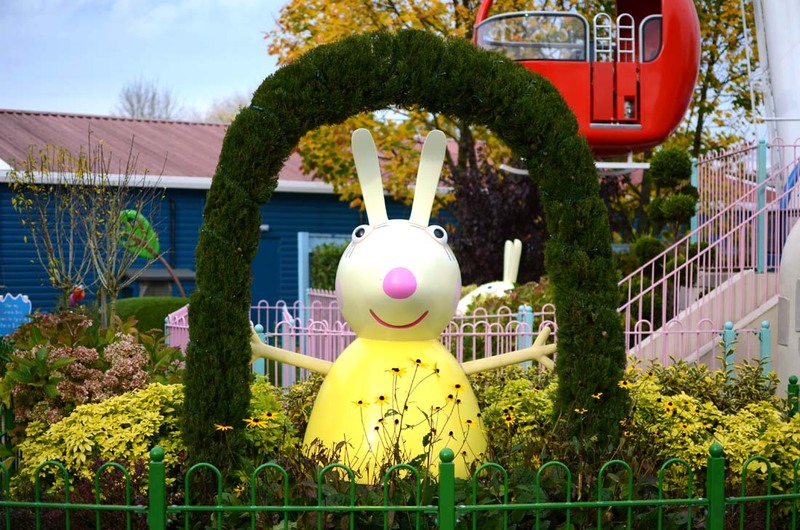 The most notable gardens, mazes and sculptures are discussed below. 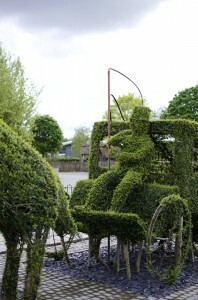 Traditional topiary again fills the squares of the parterre at the Château de Villandry, France. 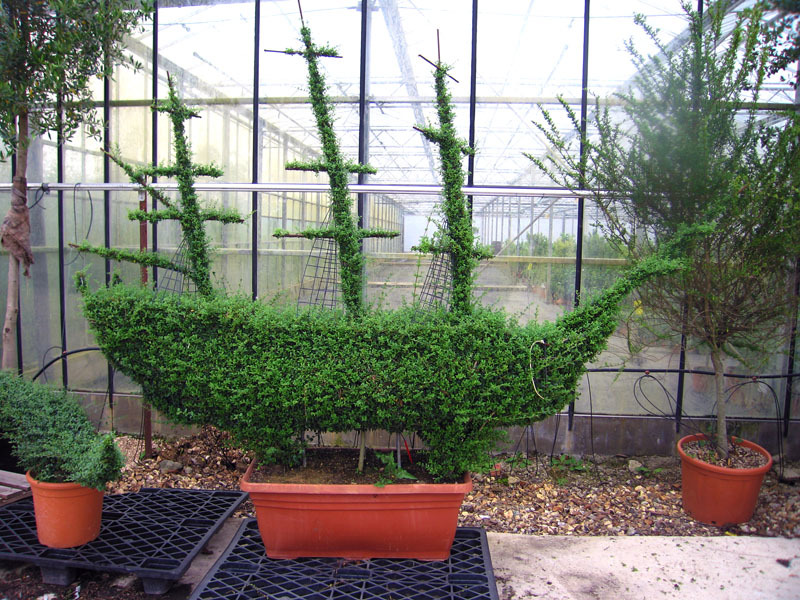 This style of topiary became popular during the Italian Renaissance and influenced French gardens after the invasion of Italy by Charles VIII. Beautifully ornate, clipped hedges (often using Buxus Sempervirens, or Box) are laid out in symmetrical patterns, usually on a large scale. 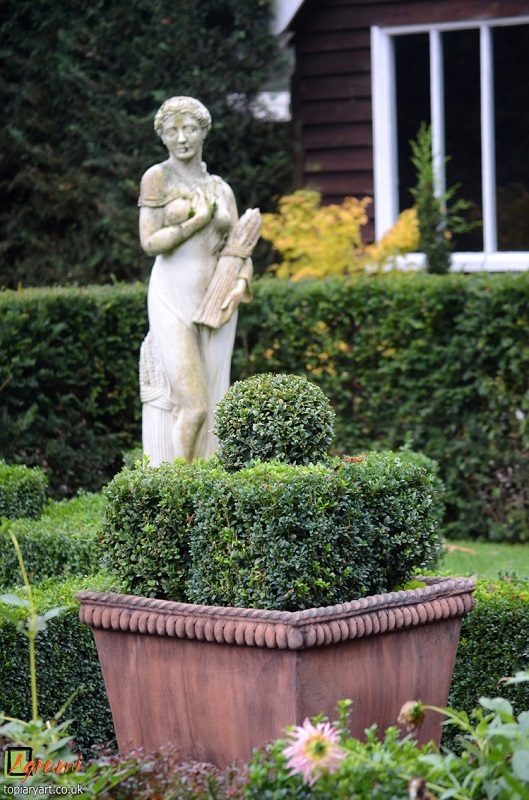 Gravel paths are often placed between the hedges with statues and plants in pots among them. 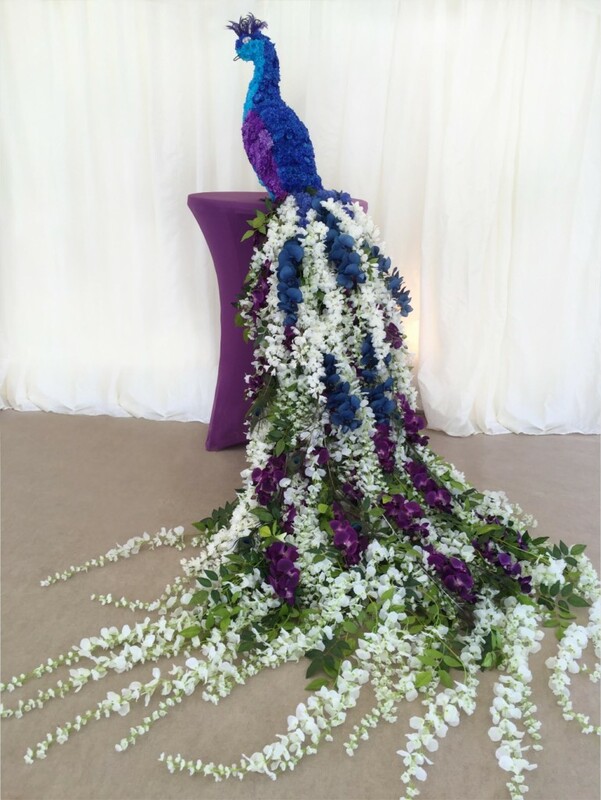 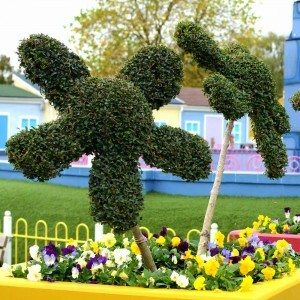 As time went on the designs became more and more elaborate with colorful plants and flowers added for interest. 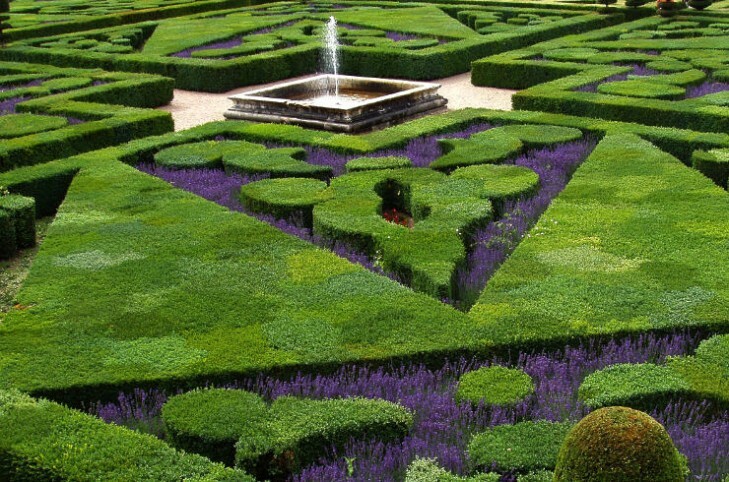 First established in England during the reign of Elizabeth I, these gardens again follow very formal designs with low hedges cut in criss-cross patterns literally resembling knots. 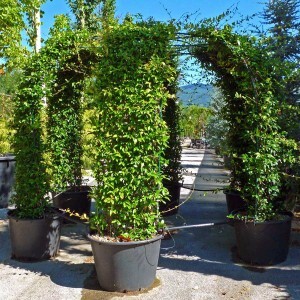 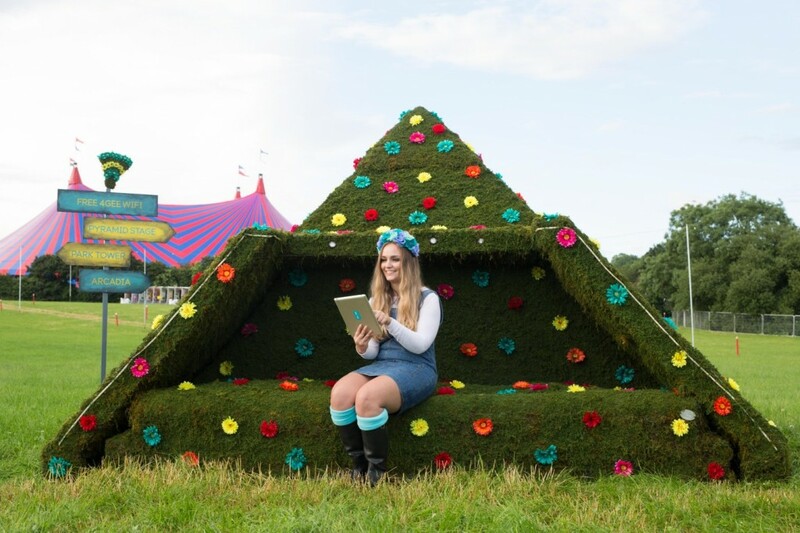 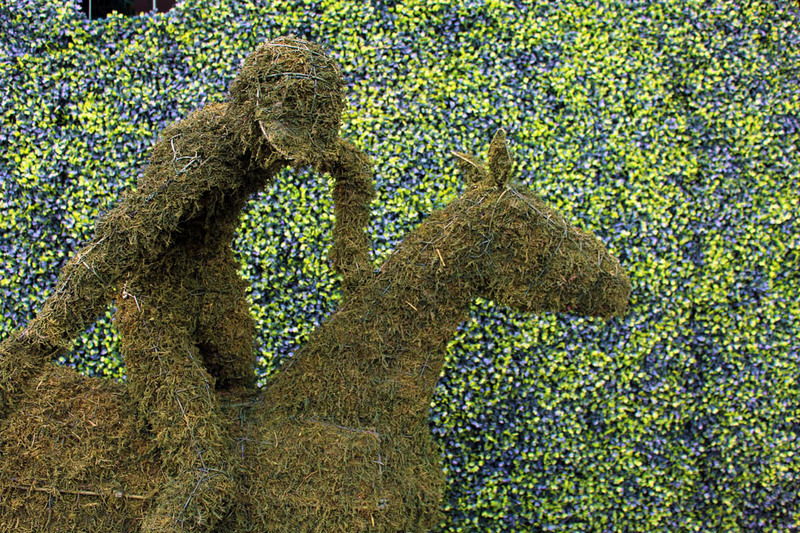 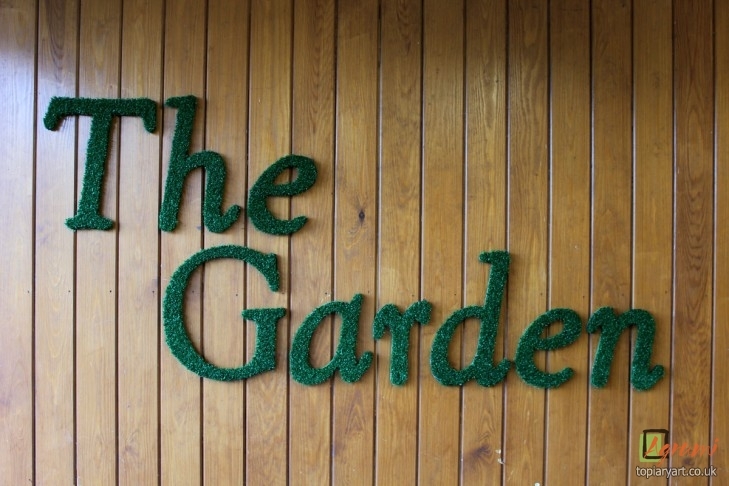 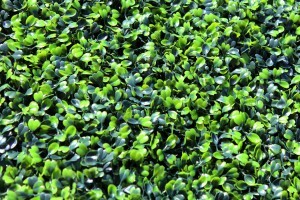 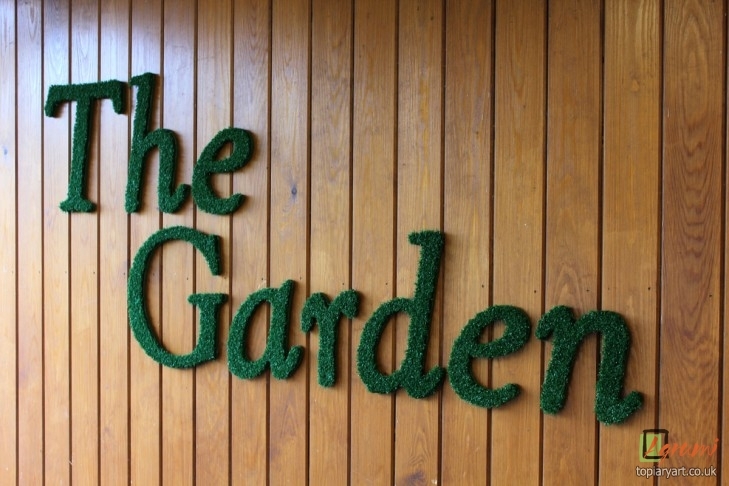 Traditionally the hedges would be made from aromatic plants and culinary herbs. Today the hedges may be fashioned from Box (or similar) with gravel paths and aromatic plants and herbs in between. 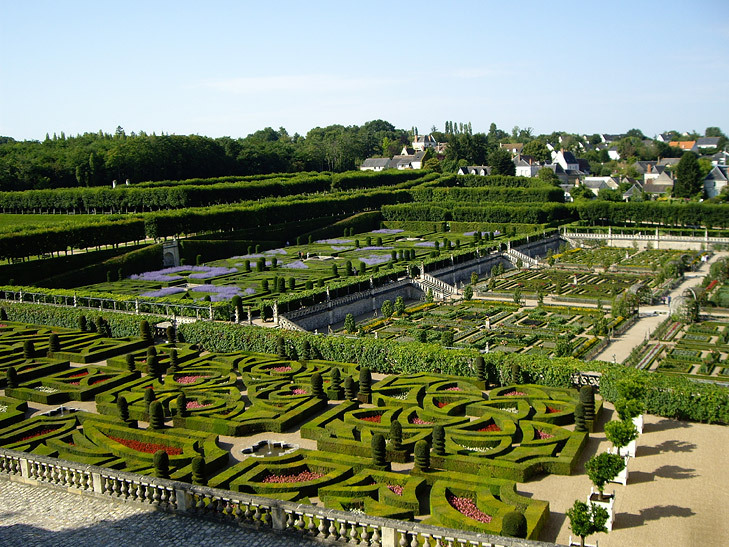 In this case they may be more accurately called Parterres. 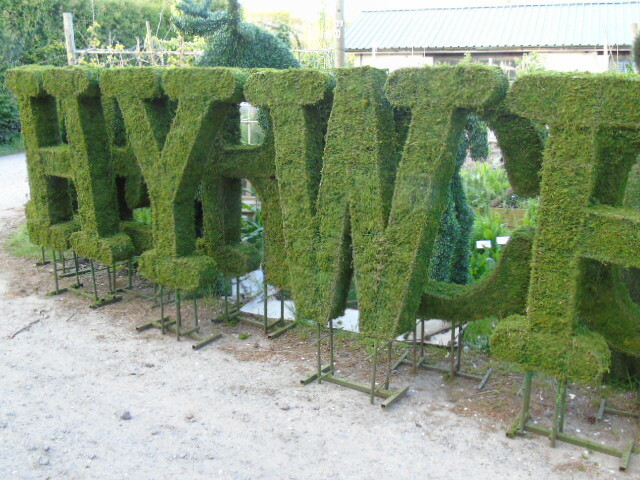 In gardening terms, a maze is constructed from tall, clipped hedging and offers a branching puzzle to walk through with choices of path and direction. 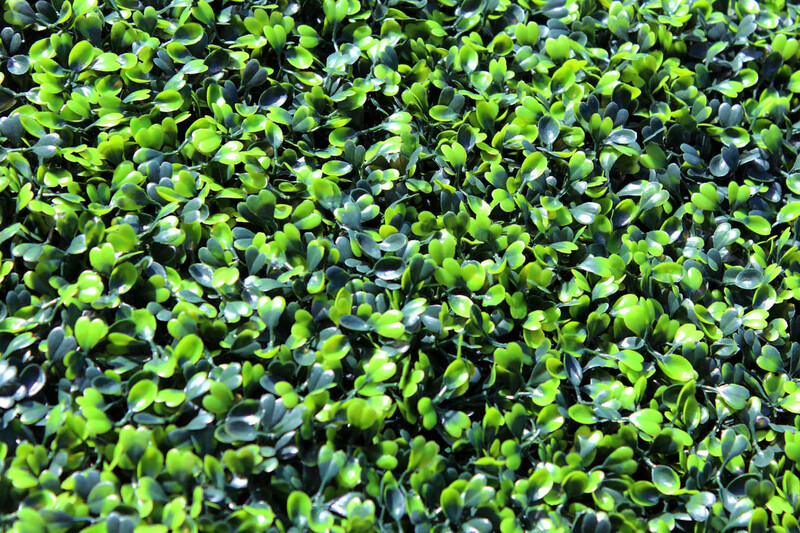 A labyrinth offers a single, non-branching path. 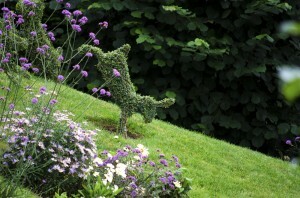 The goal in each case is to reach the centre of the garden. 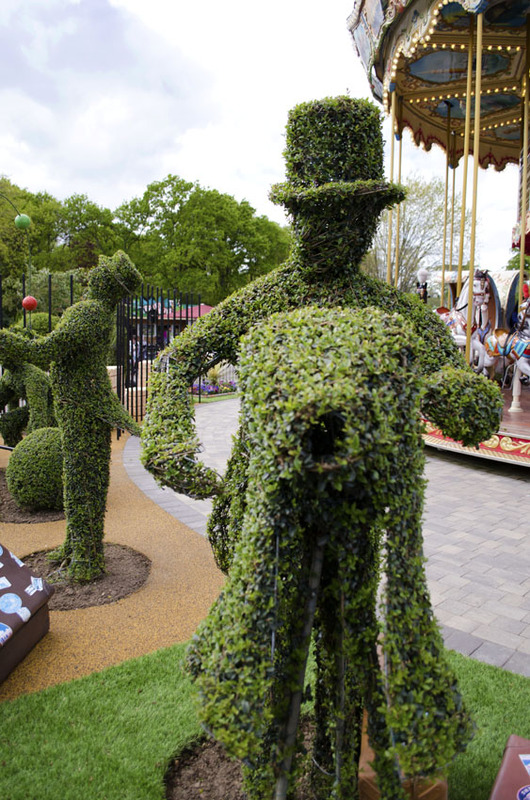 Pleasure gardens with mazes and labyrinths evolved from the Parterre and Knot gardens of Renaissance Europe. 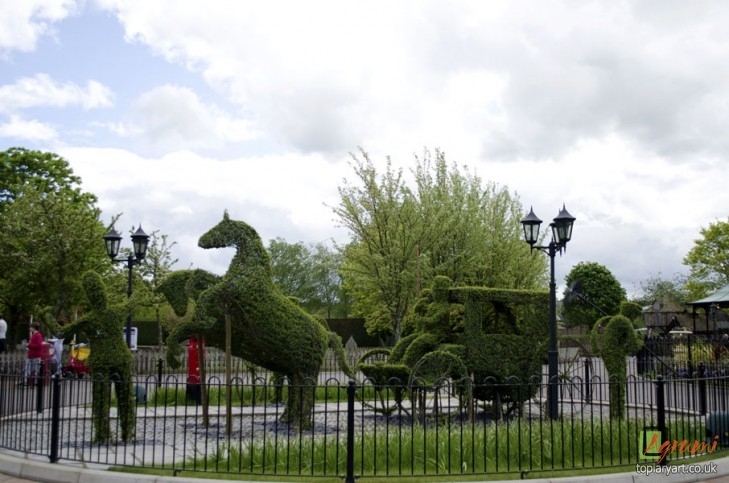 The oldest surviving example in England was built for King William III in the late 17th century at Hampton Court Palace. 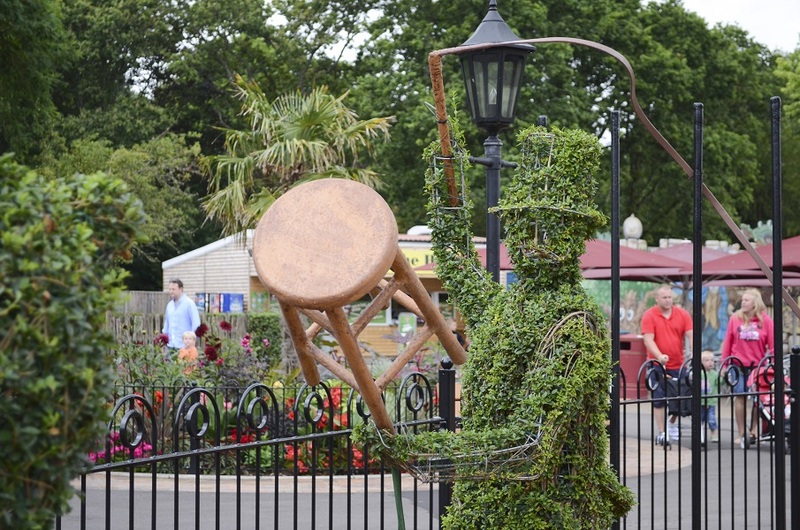 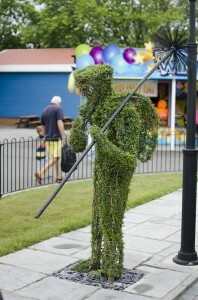 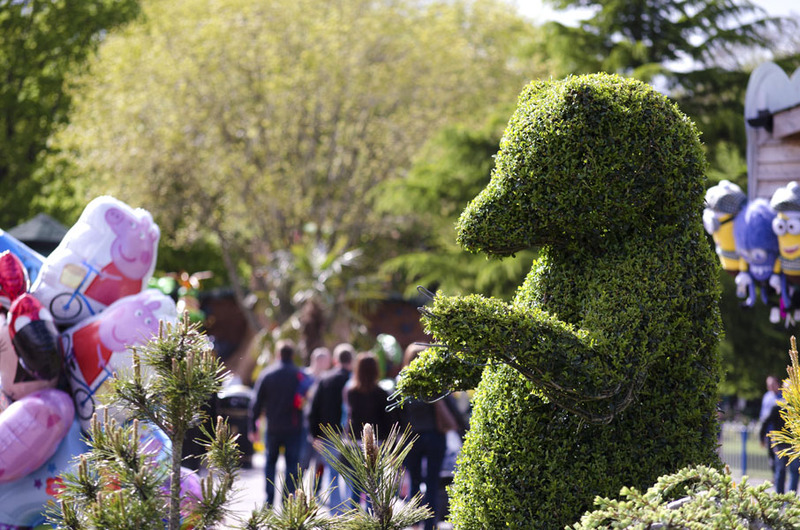 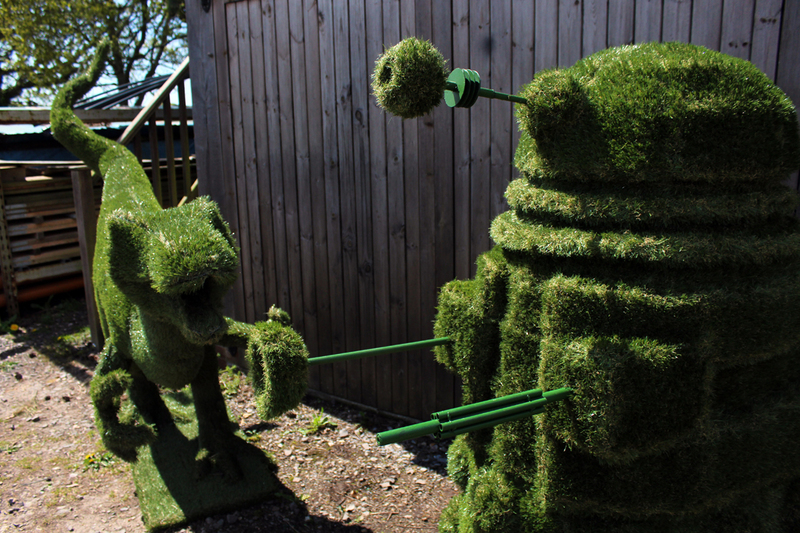 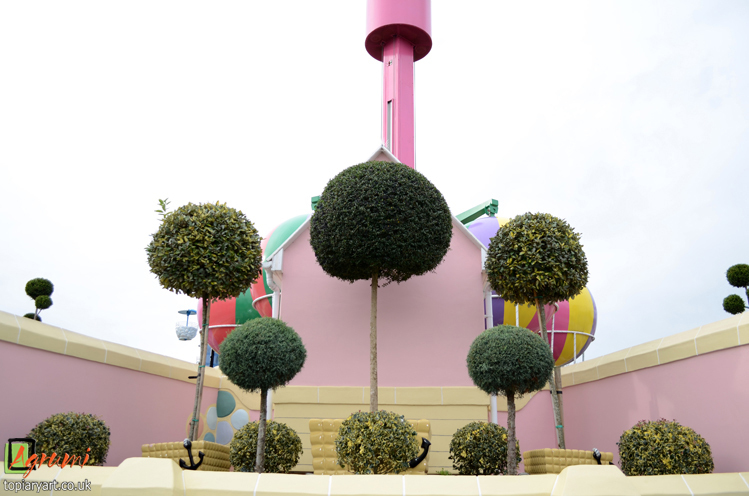 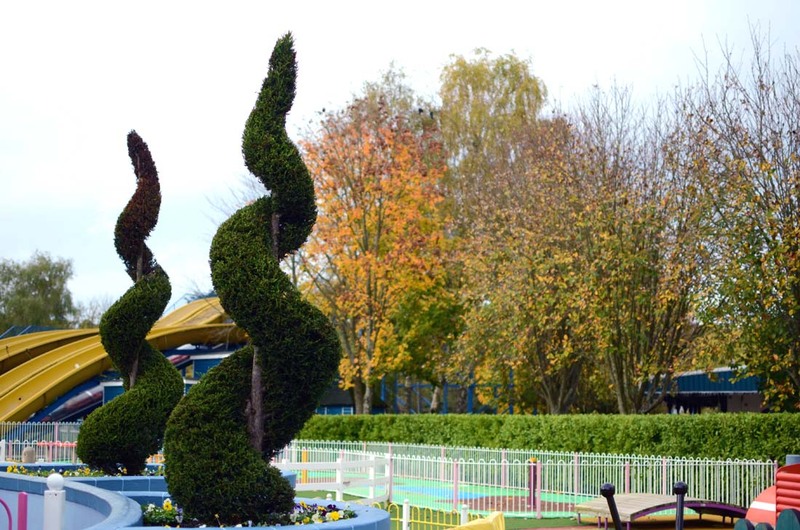 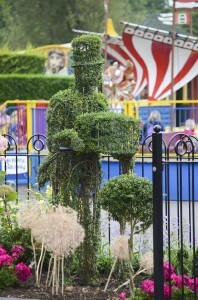 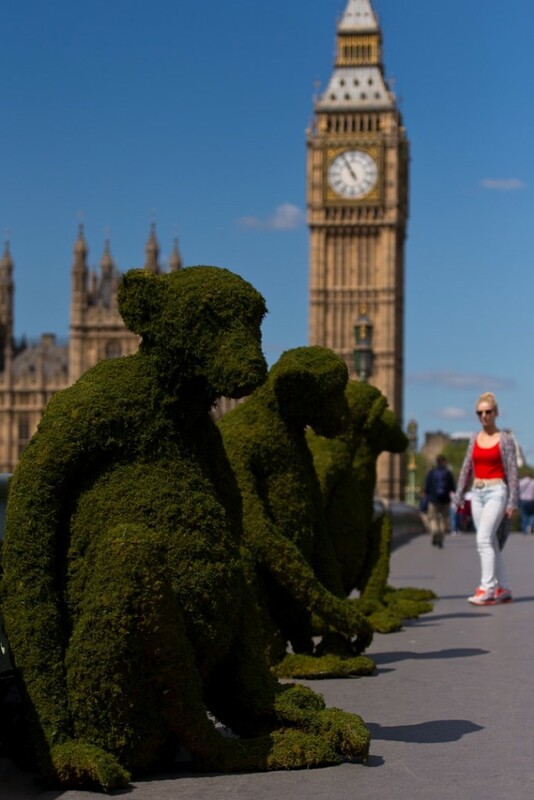 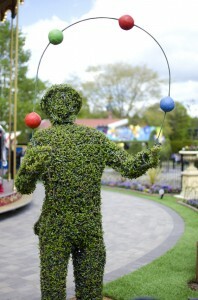 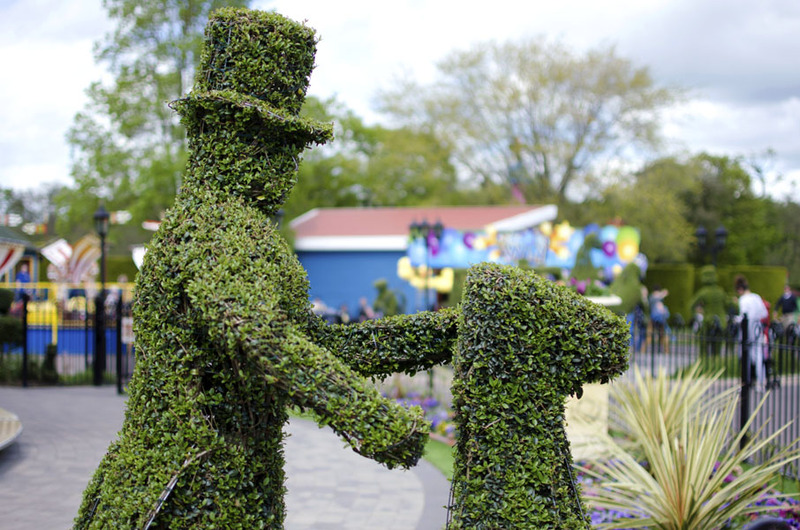 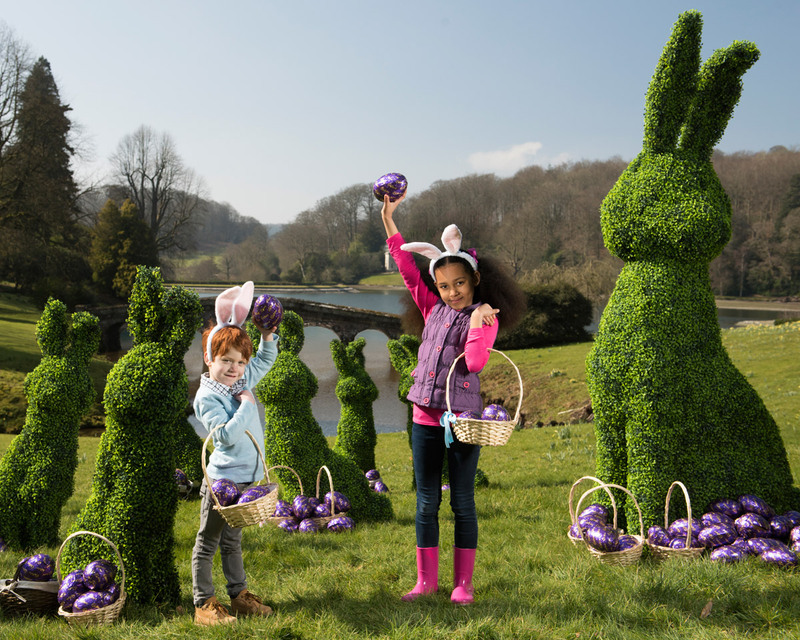 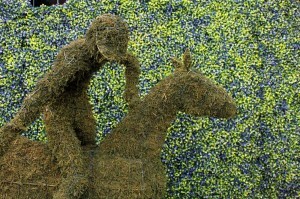 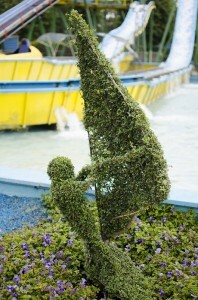 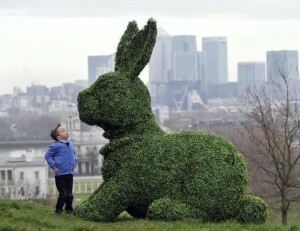 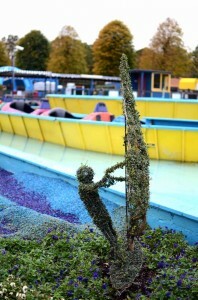 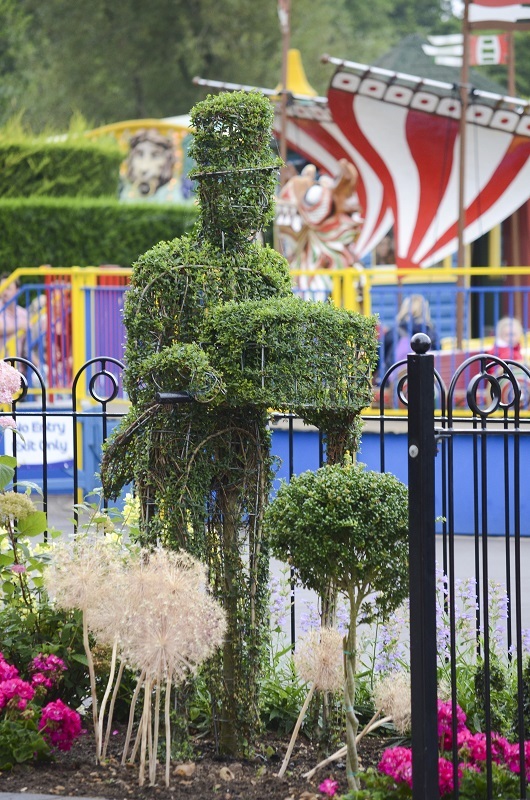 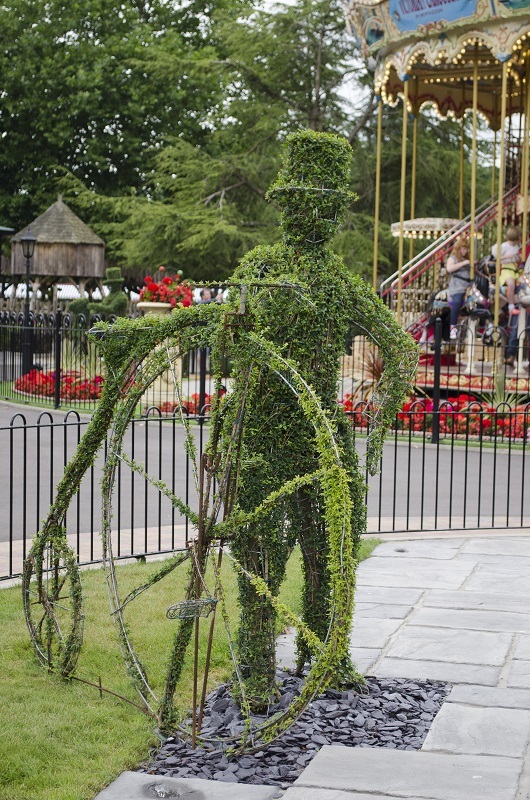 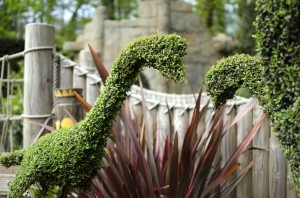 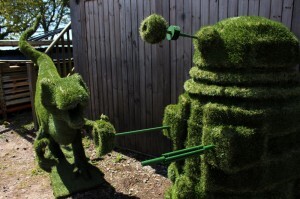 Topiary sculptures are a more modern development and most often consist of standard, geometric shapes like pyramids and spirals; however, the resurgence of topiary became a unique way to represent animals and figures, with its use in special displays such as at theme parks, festivals and promotional events across the globe. 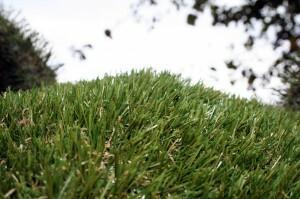 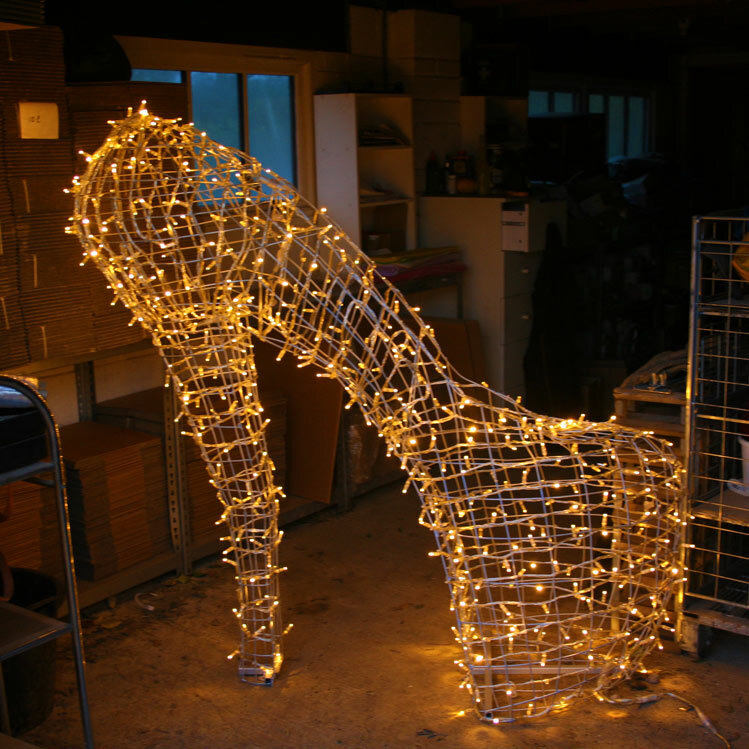 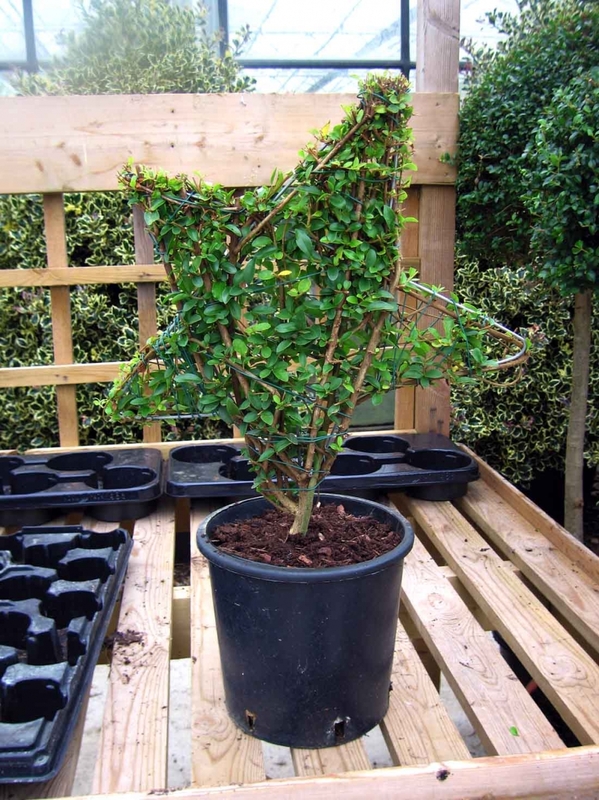 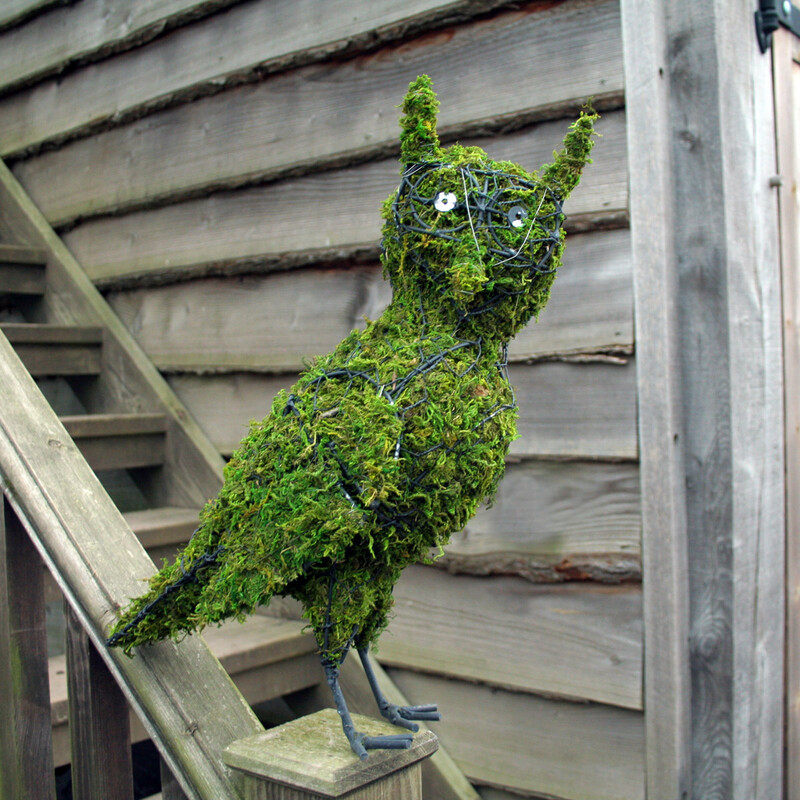 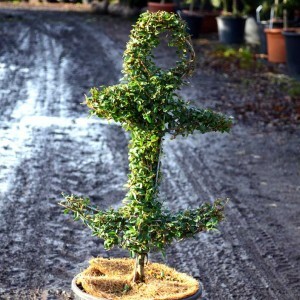 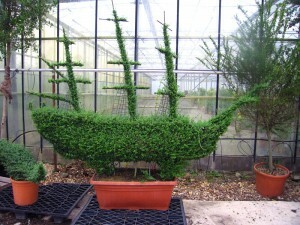 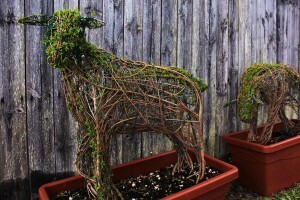 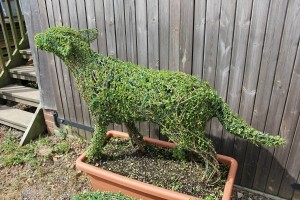 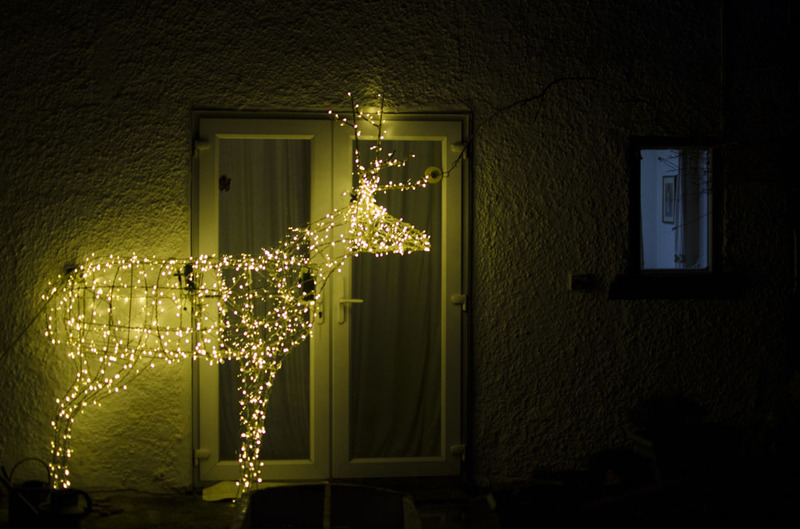 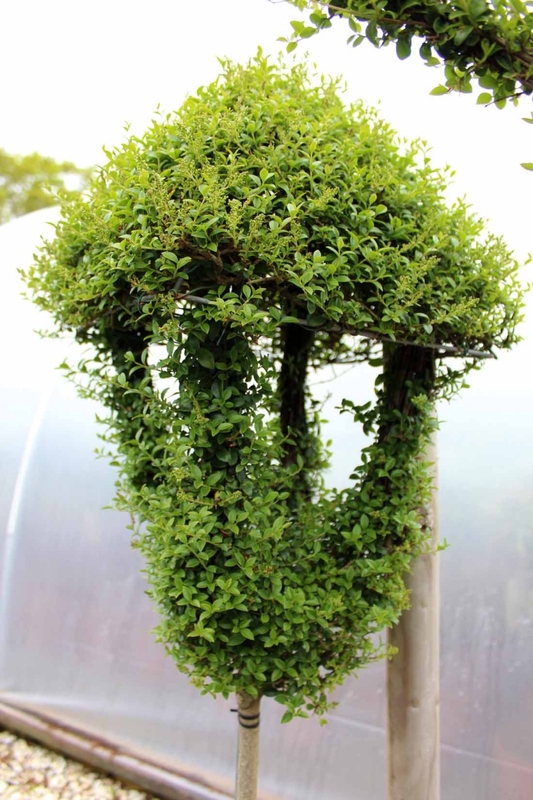 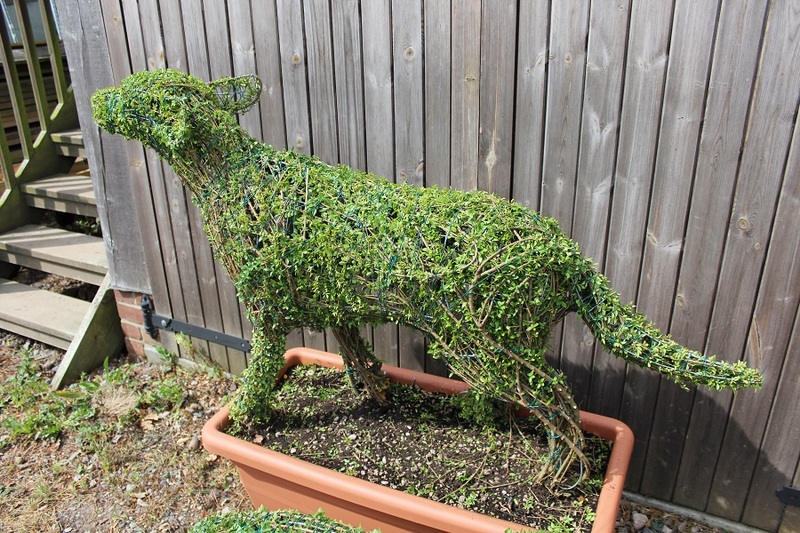 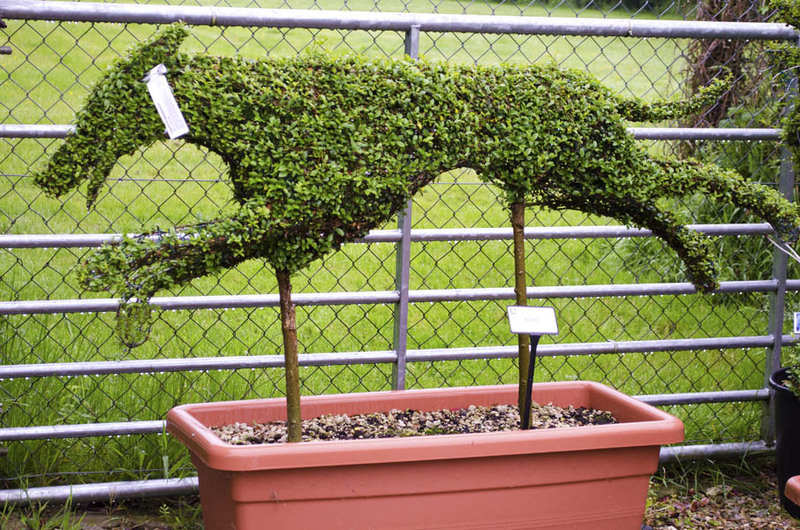 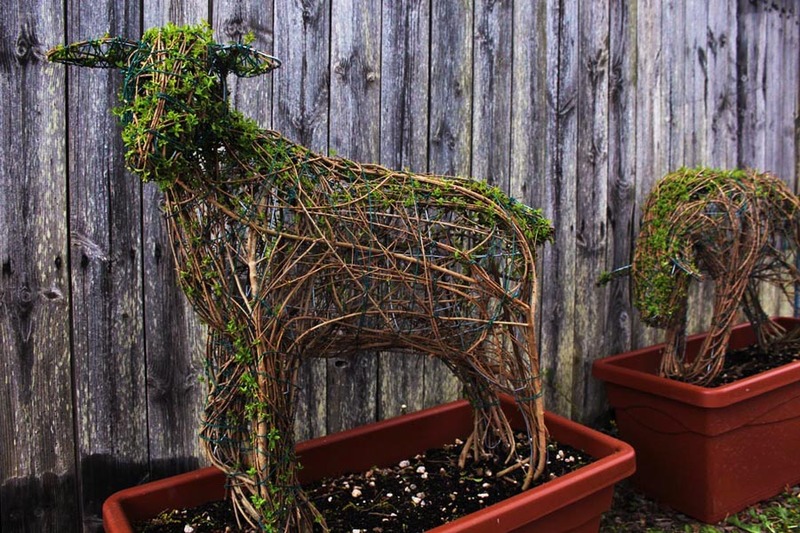 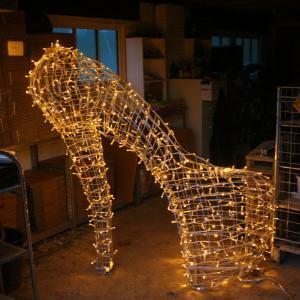 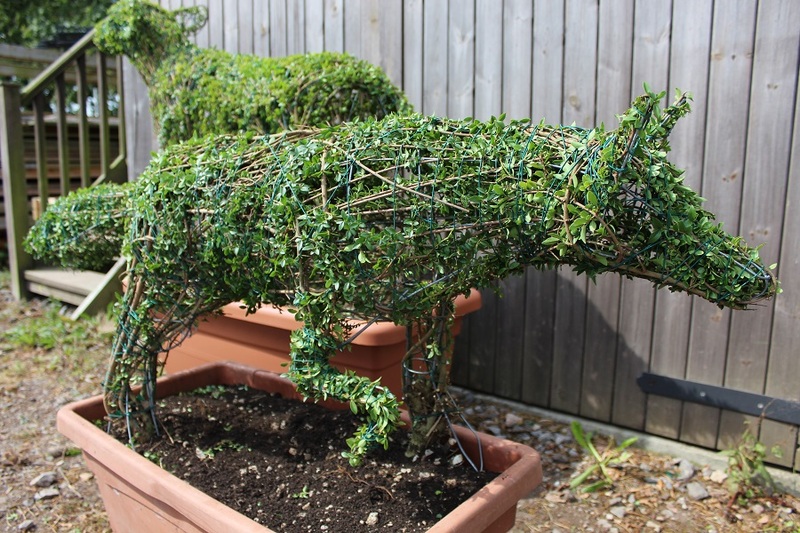 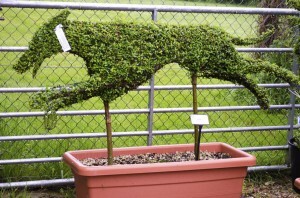 The shapes can be made by trimming a bushy shrub or tree down, or, by using a wire frame which can either be stuffed with moss or used as a pruning guide to grow plants around it. 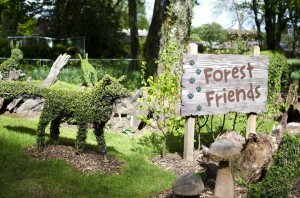 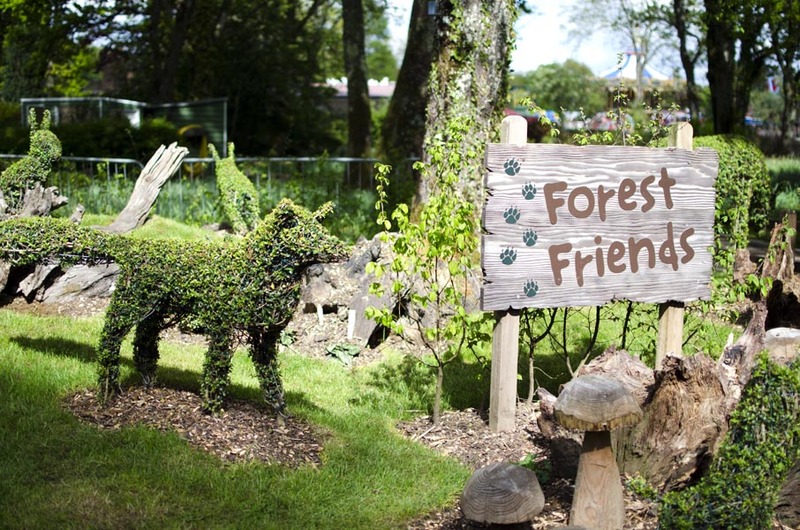 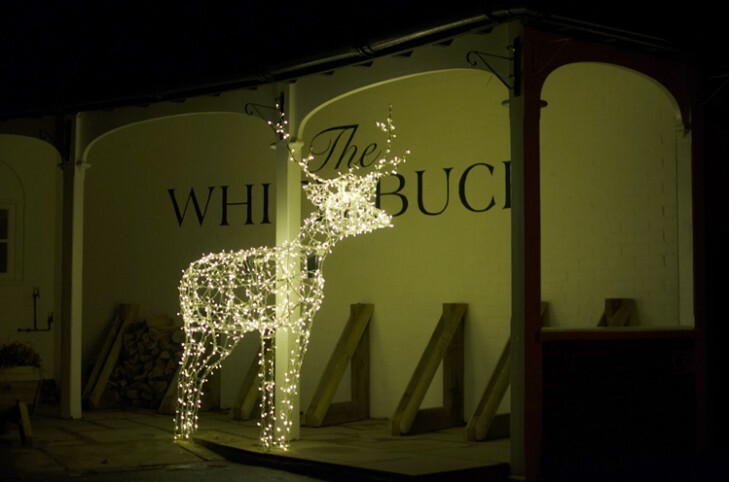 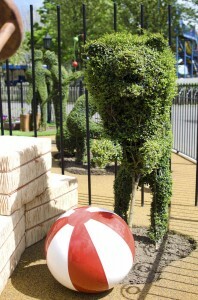 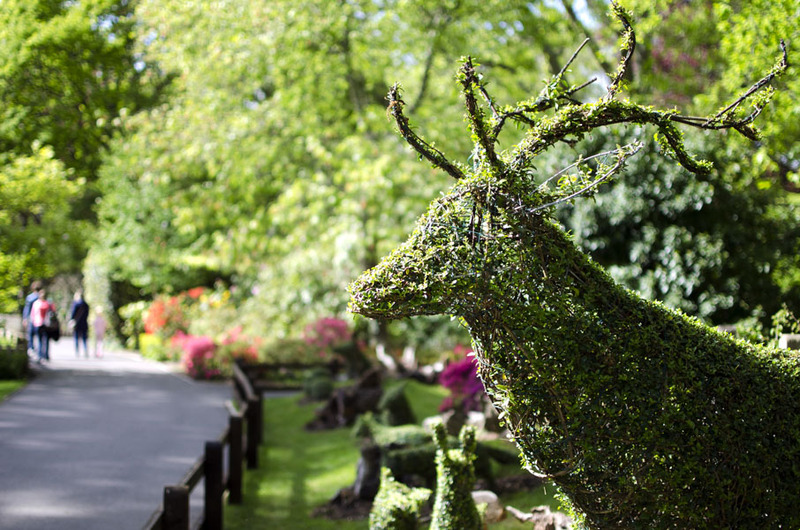 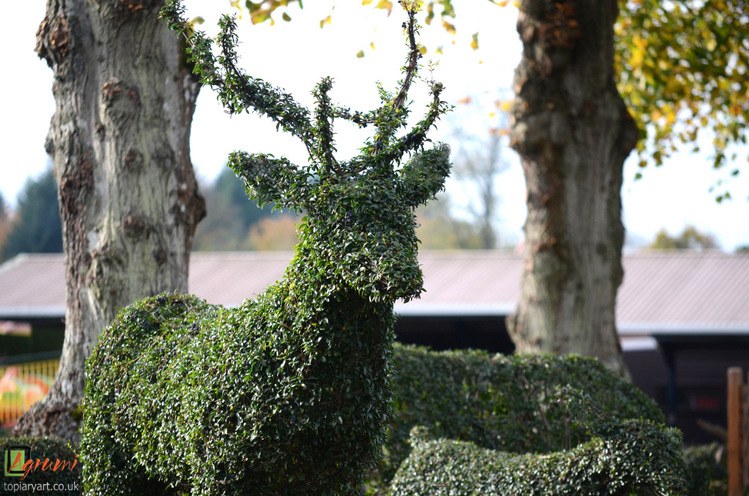 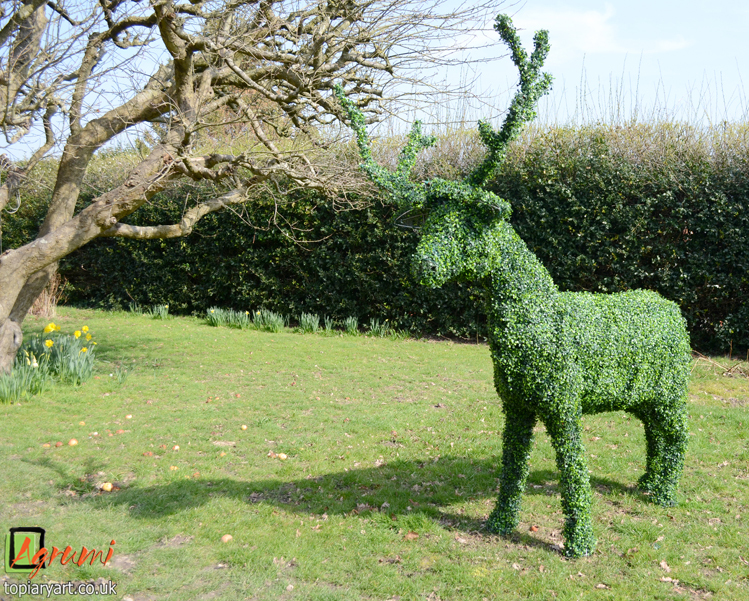 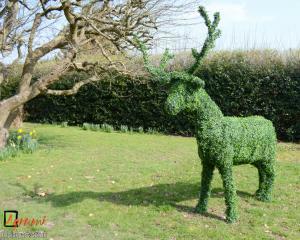 Topiary Stag at Paultons Park.